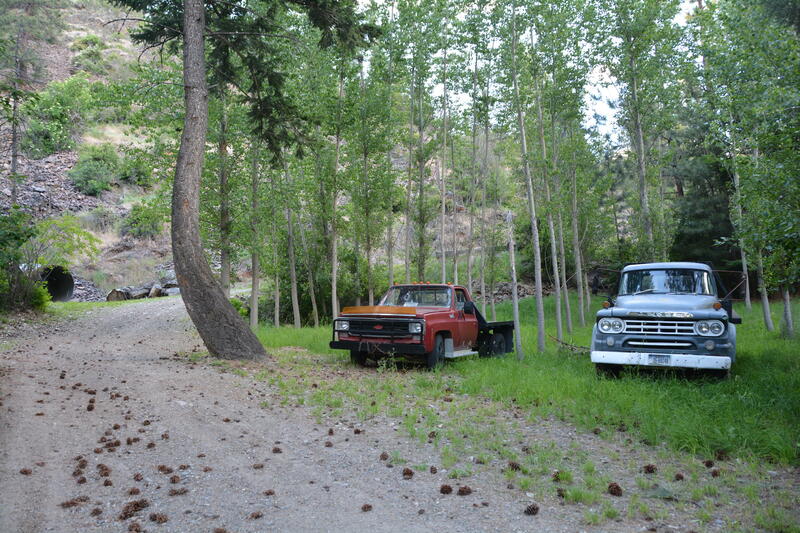 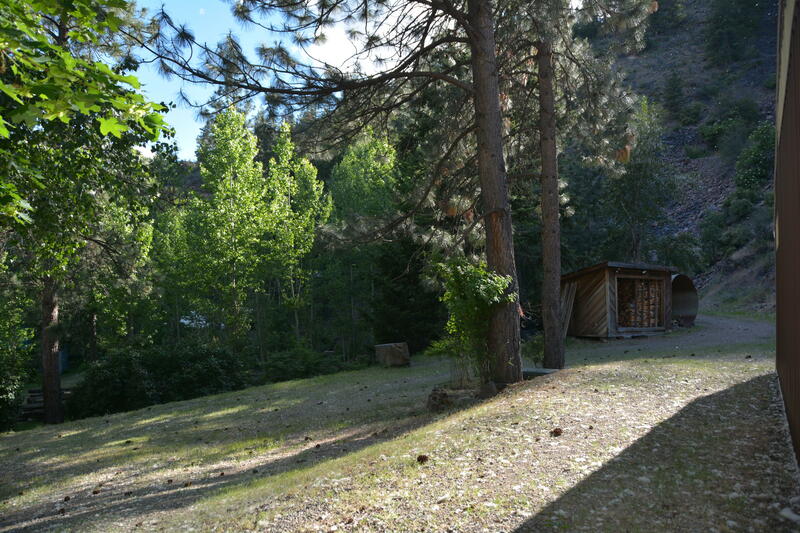 Remarks: So private, the Bighorn Sheep hide out here! 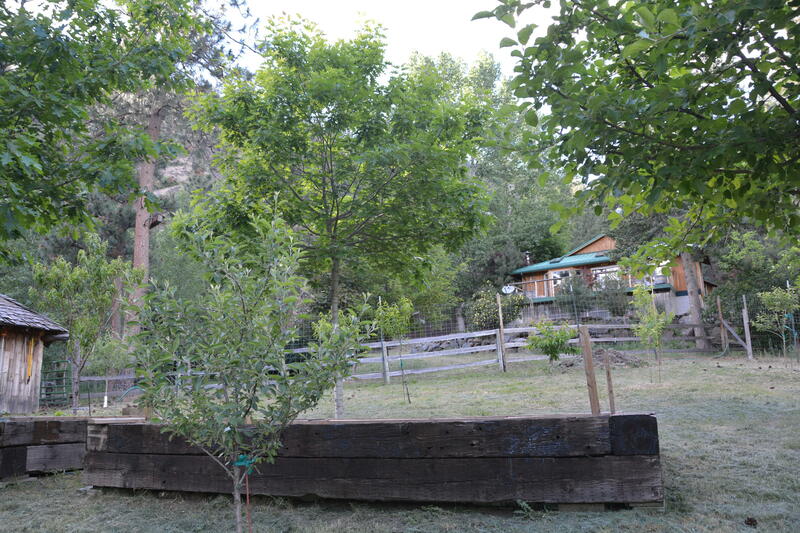 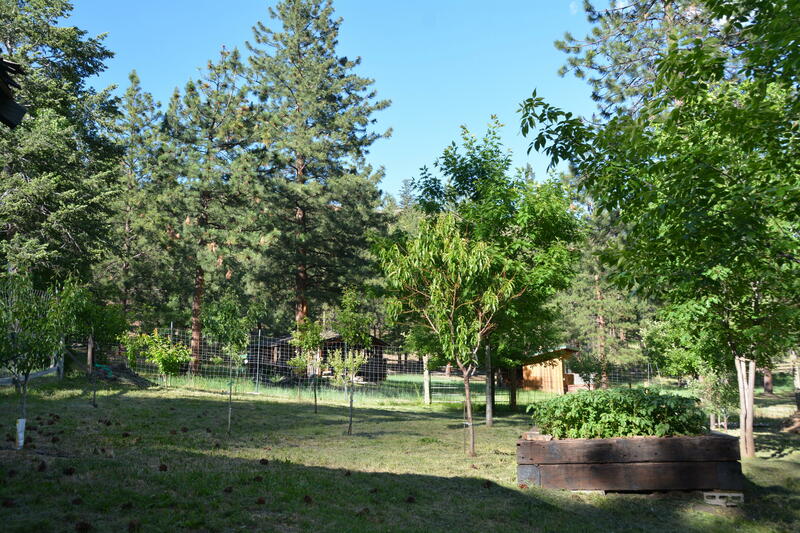 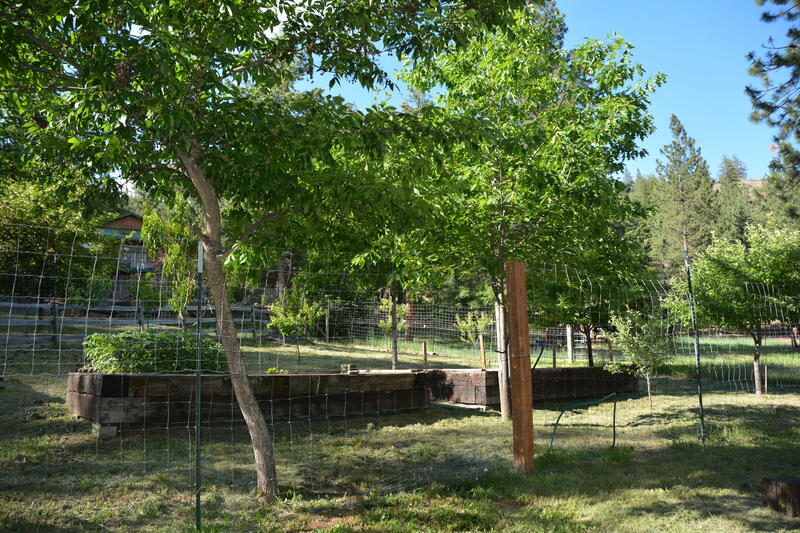 This Private, Sustainable Homestead Oasis on 27.61 acres fills the needs of every member of the family: from handicap accessibility to equestrian interests, mechanic's garage to craft/hobby rooms; or home offices to organic gardening in the many raised beds and multiple fruit tree fenced orchard, to hiking/biking/riding trails on the property and to the adjoining State Land. 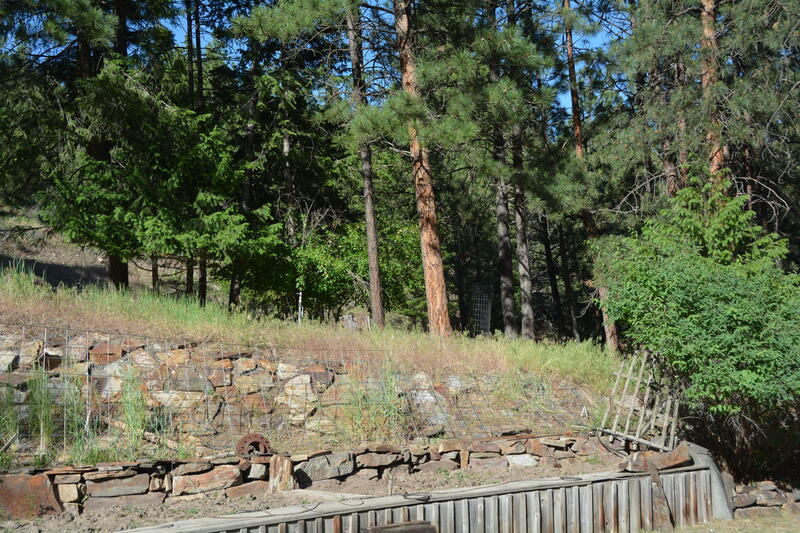 This property could provide income from building stone sales as well, if desired! 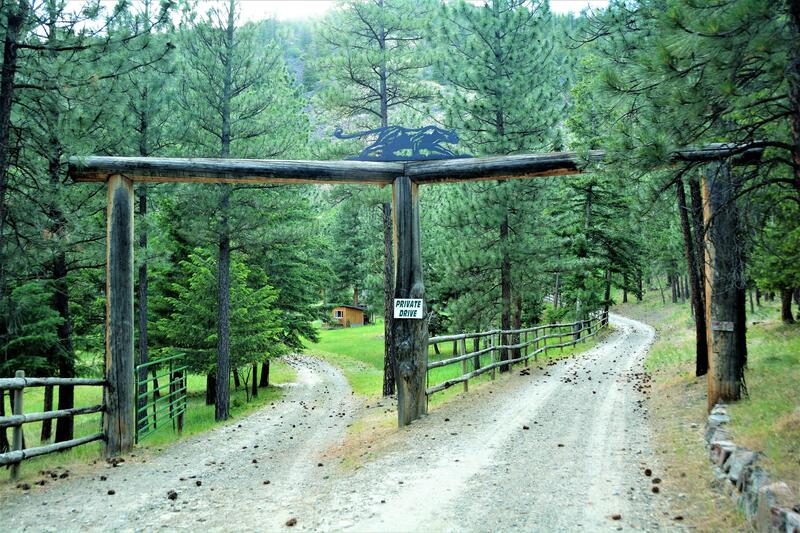 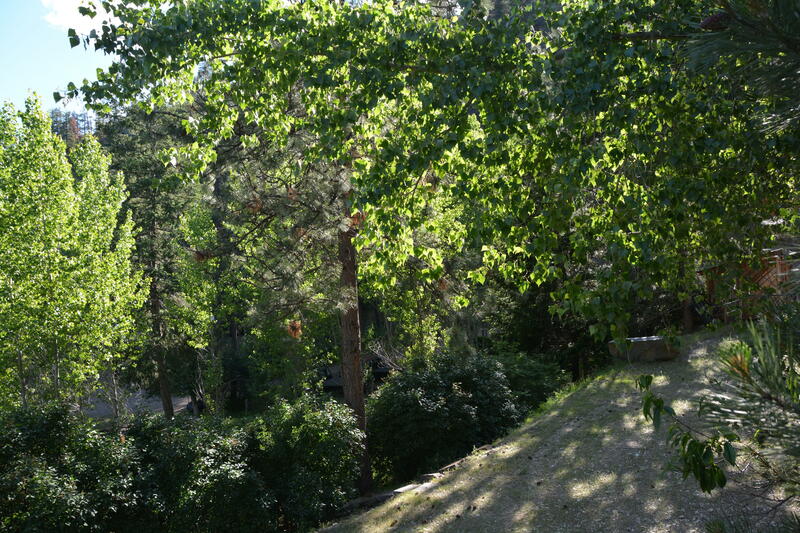 The driveway winds up the hill to the large gable entryway. 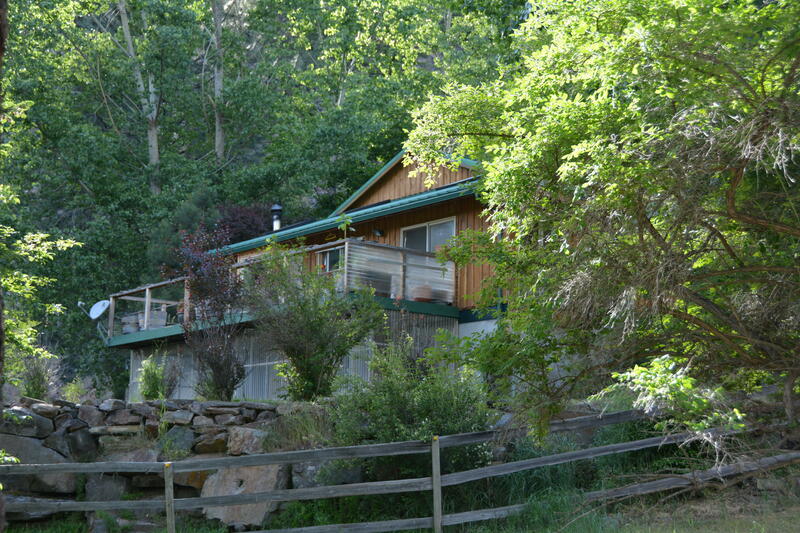 Nestled for privacy and safety at the base of the mountain on one side, the main building is a well-built 1994 home, cedar sided with a metal roof. 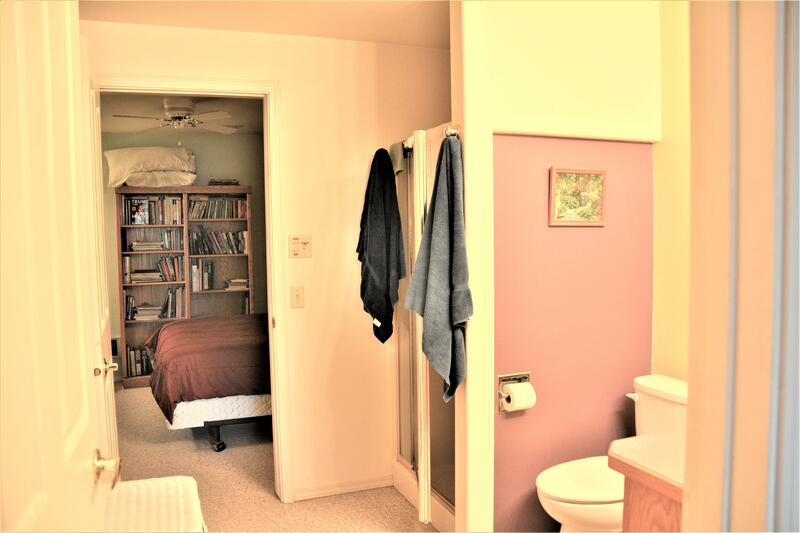 Two expansive bedroom/bath ensuites, one on each floor. 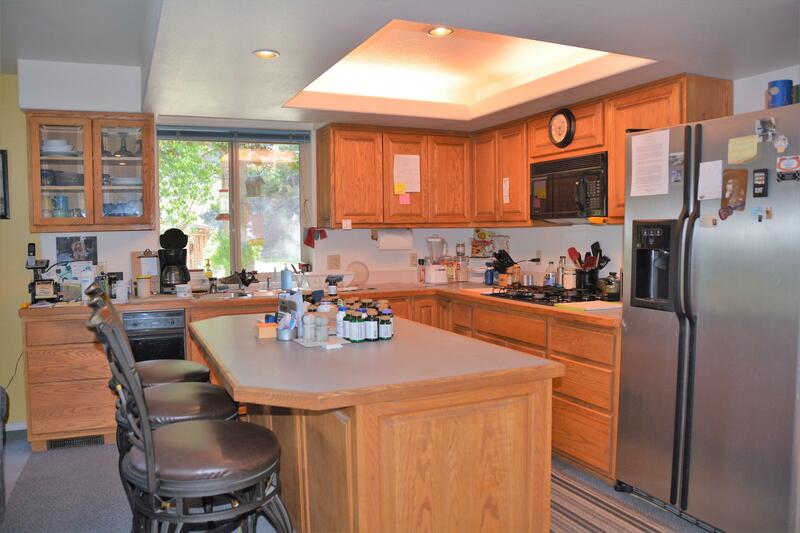 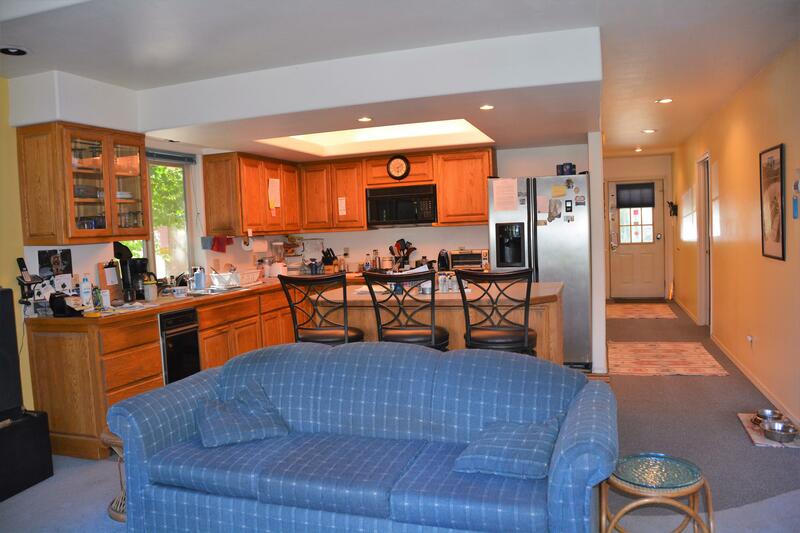 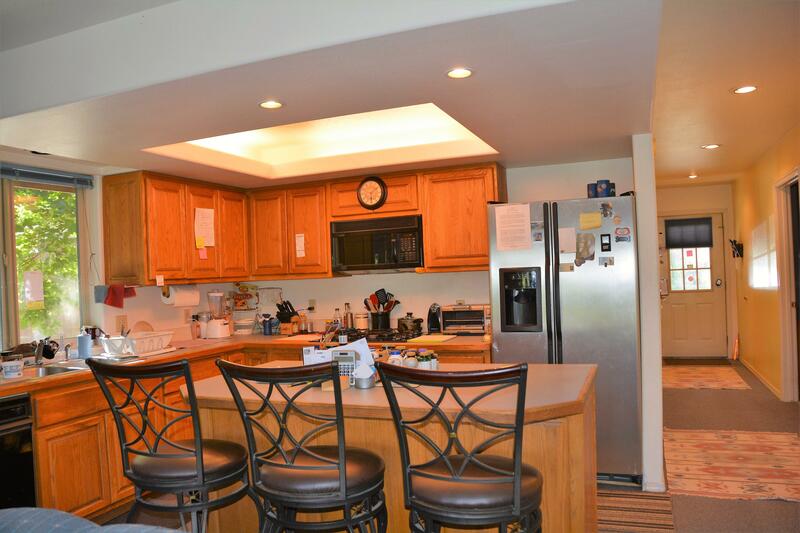 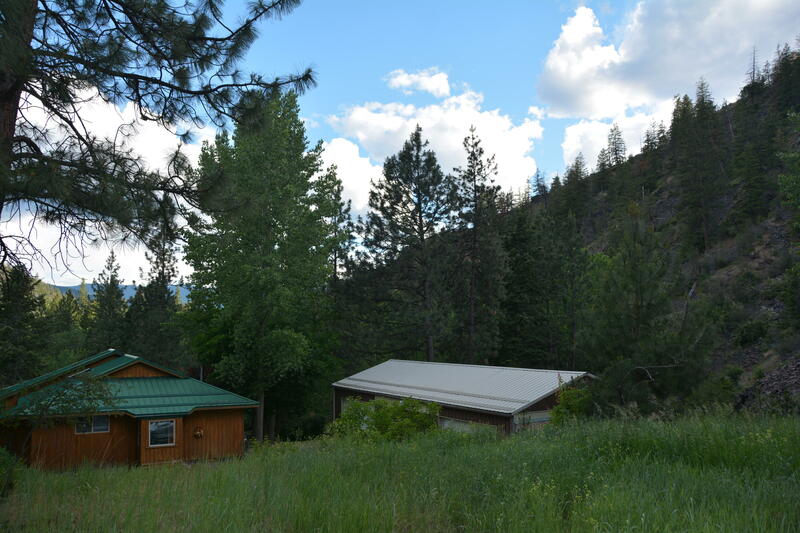 The kitchen has a gas (propane) stovetop, built-in oven, trash compactor, has ample counter space with an island/bar, and great-room feel so that kitchen, living, and dining rooms can all enjoy the mountain and meadow views on the property that come through the expansive windows. 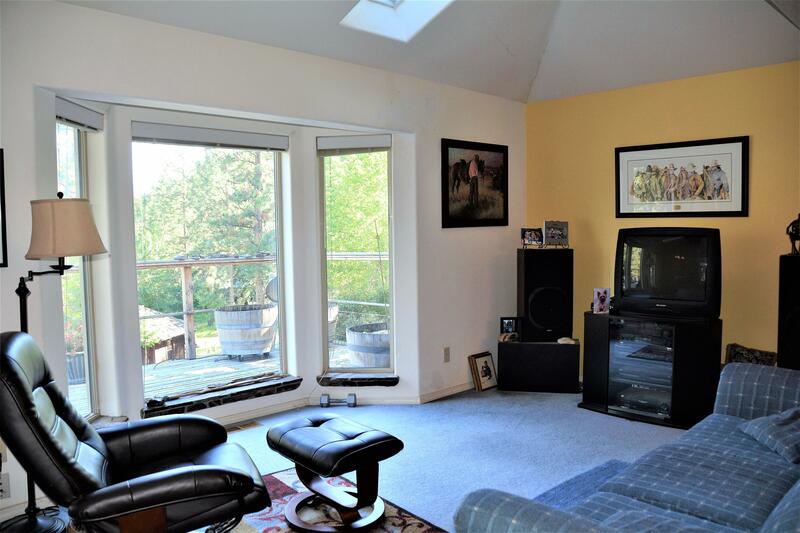 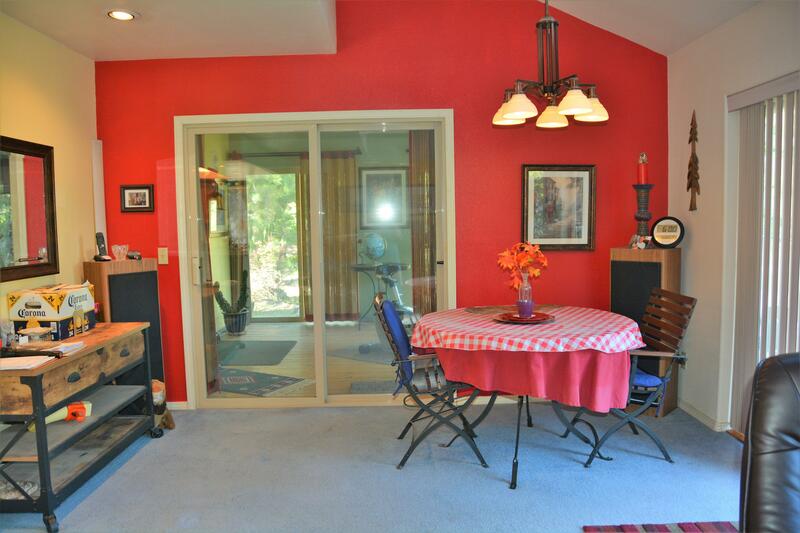 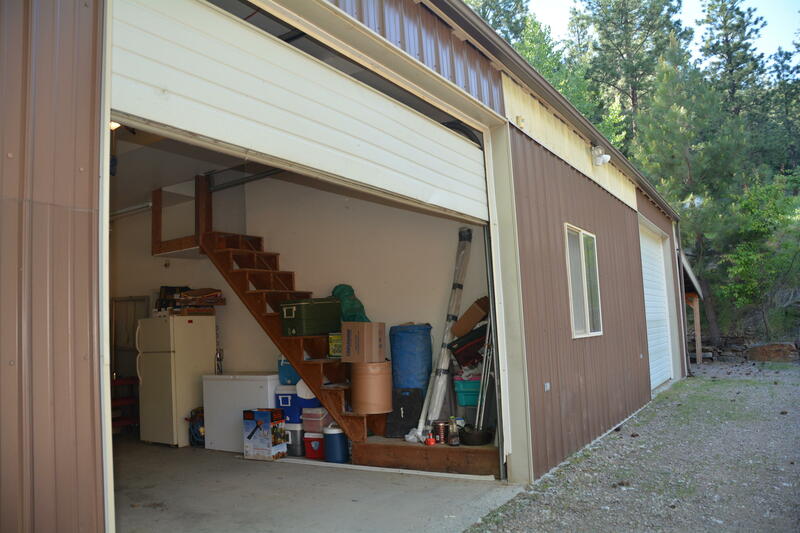 This main floor is completed with a laundry/mudroom, sunroom, and a large deck that nestles into in the trees. 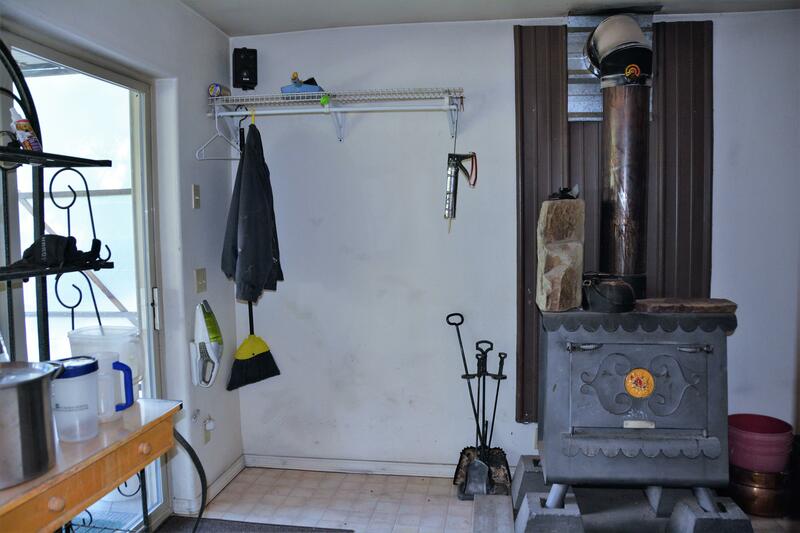 The daylight basement has a wood-burning stove that heats the whole home, a great supplement to the propane HVAC forced air system that provides both heat and air conditioning. 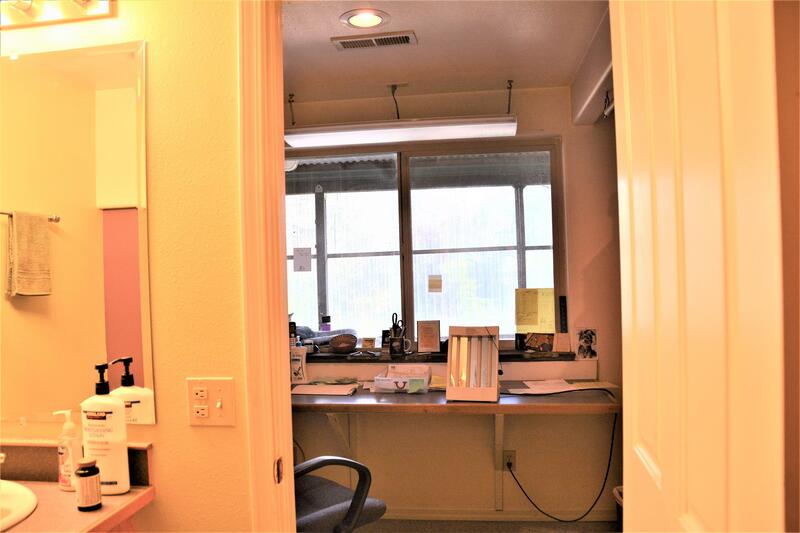 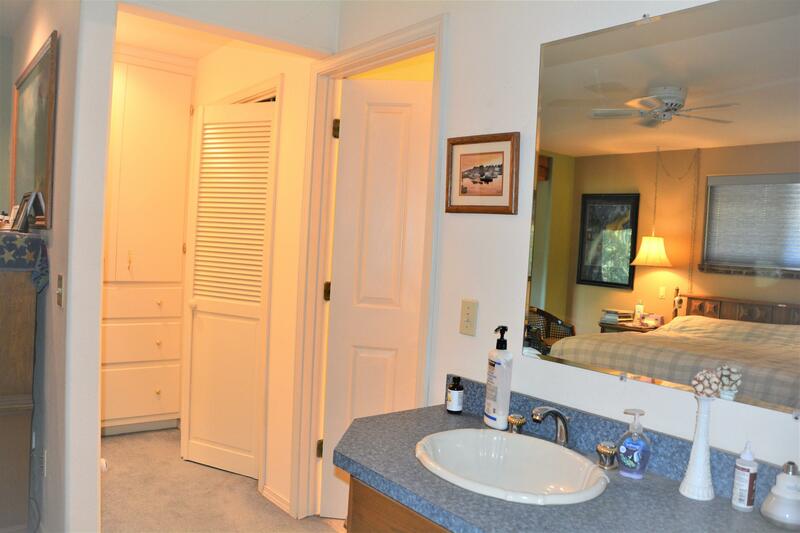 The second, downstairs bedroom/bathroom suite includes an office area, and easy access to the large, lighted storage closets. 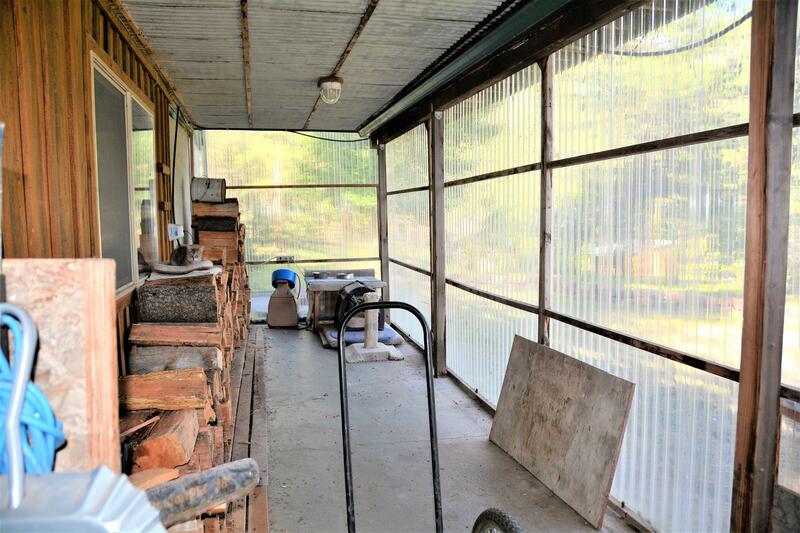 A large utility room, small second office, and entry into the greenhouse/wood storage area and exterior walkway finish off the lower level. 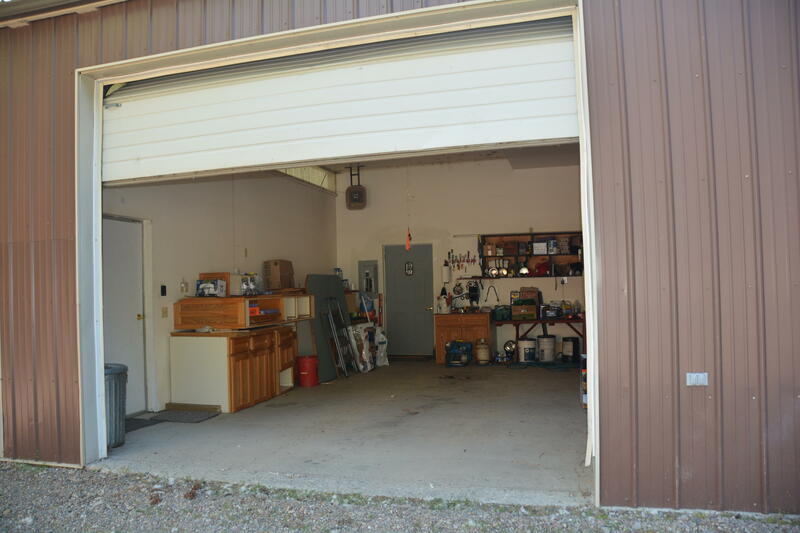 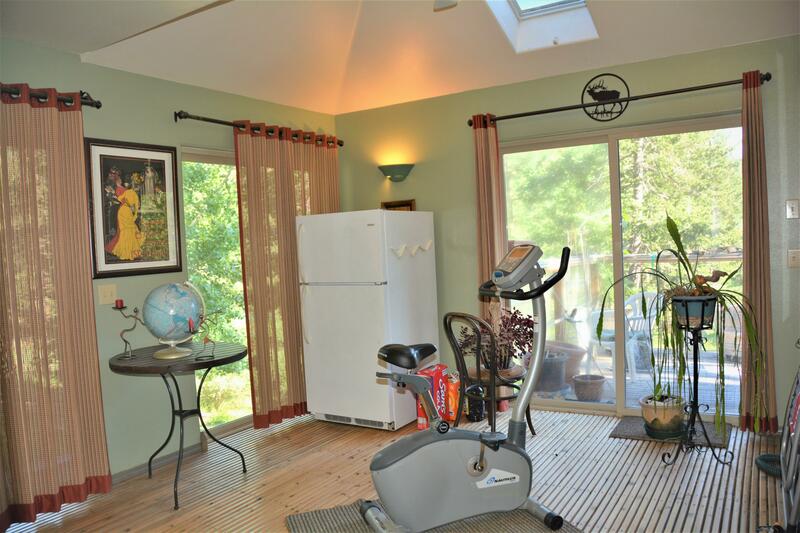 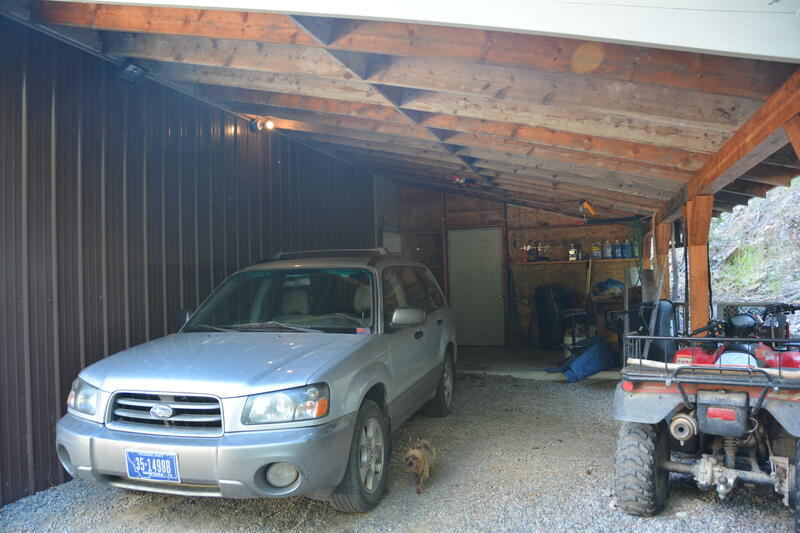 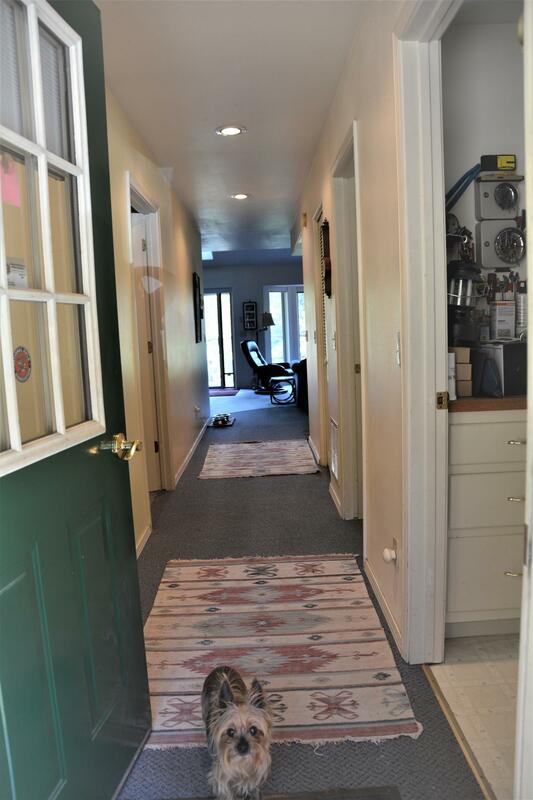 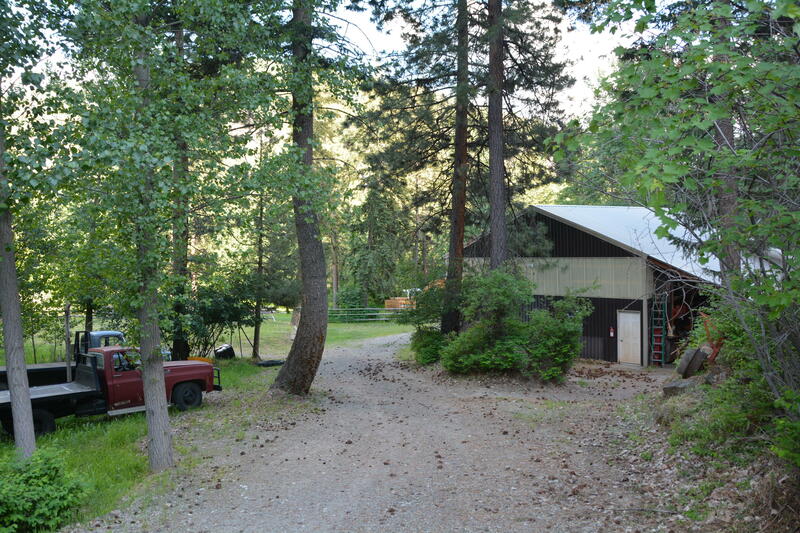 The heated, detached, main garage is 1,152 with an attached lean to for extra parking and storage. 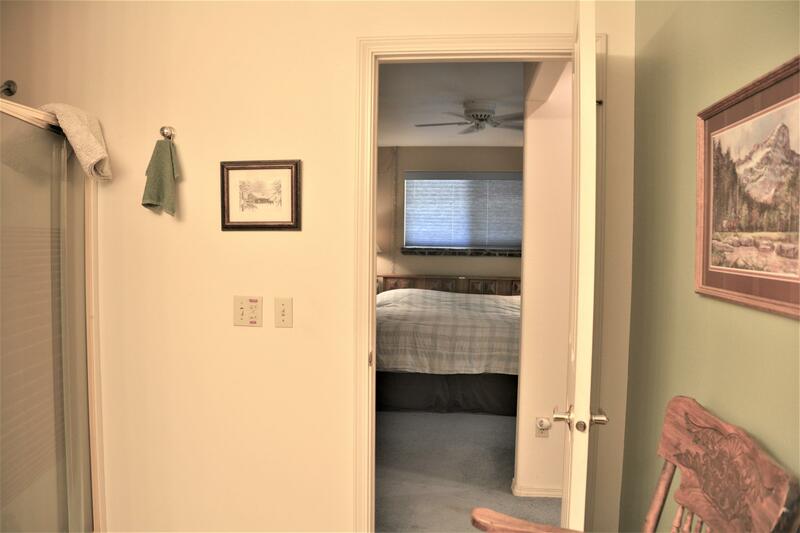 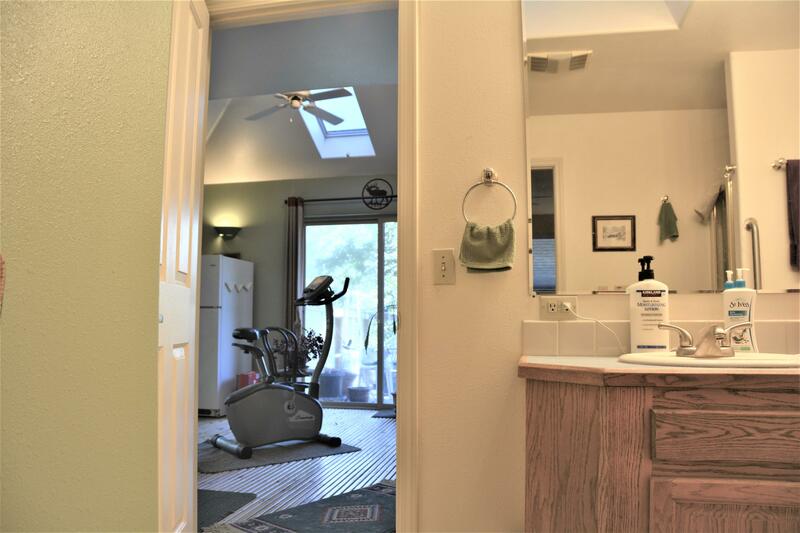 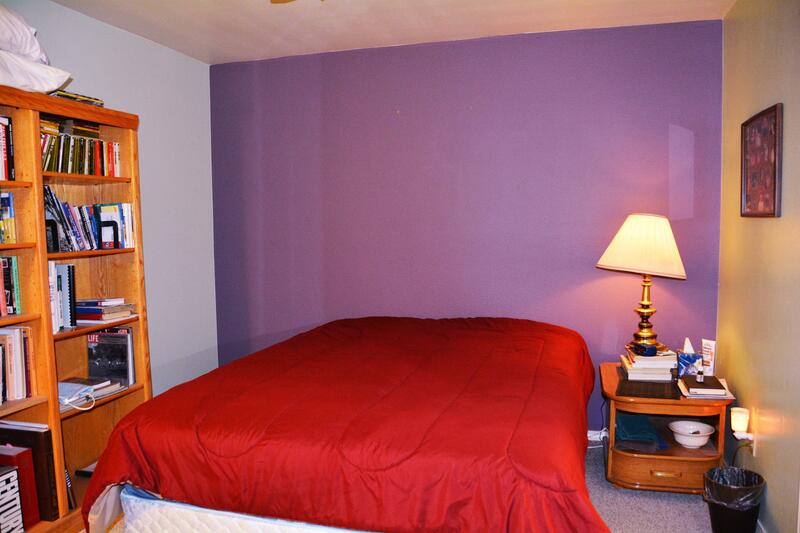 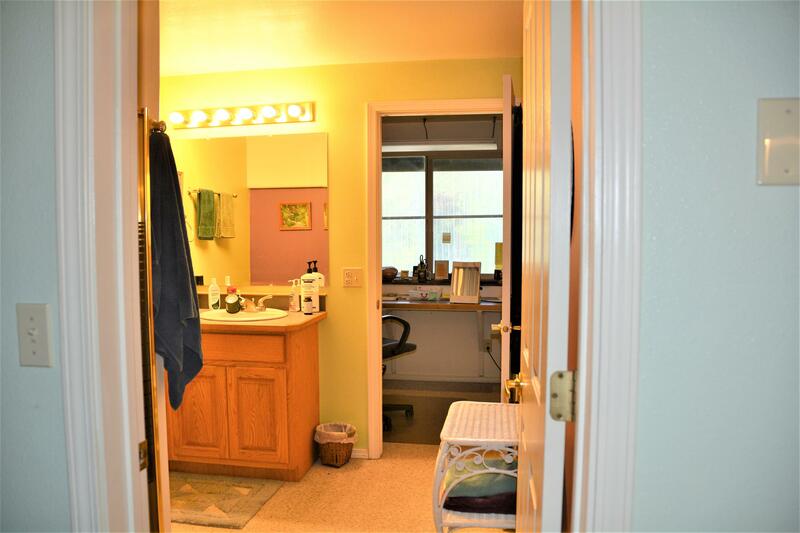 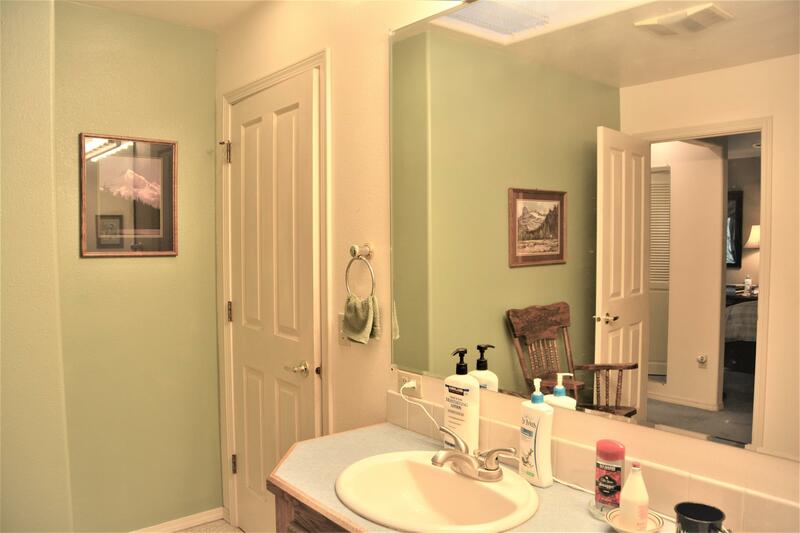 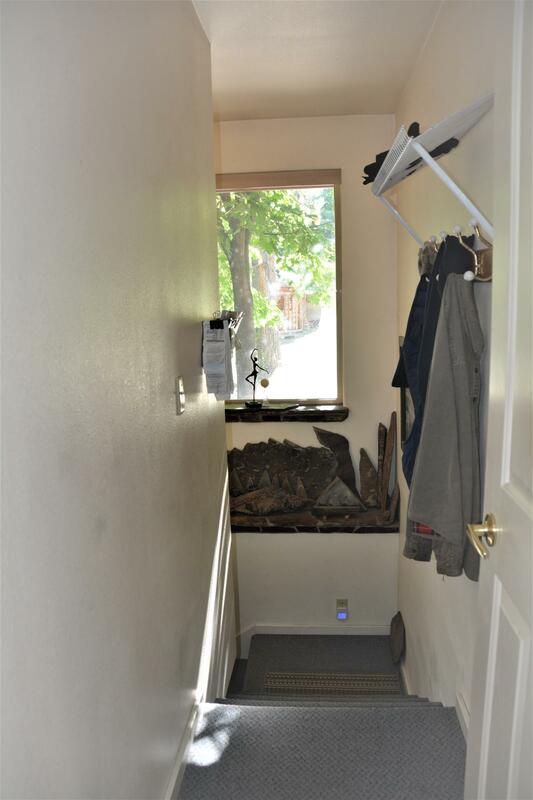 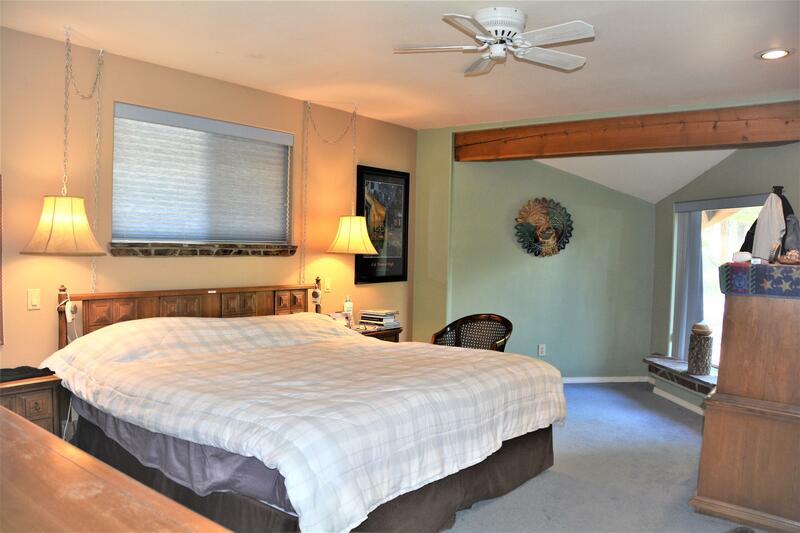 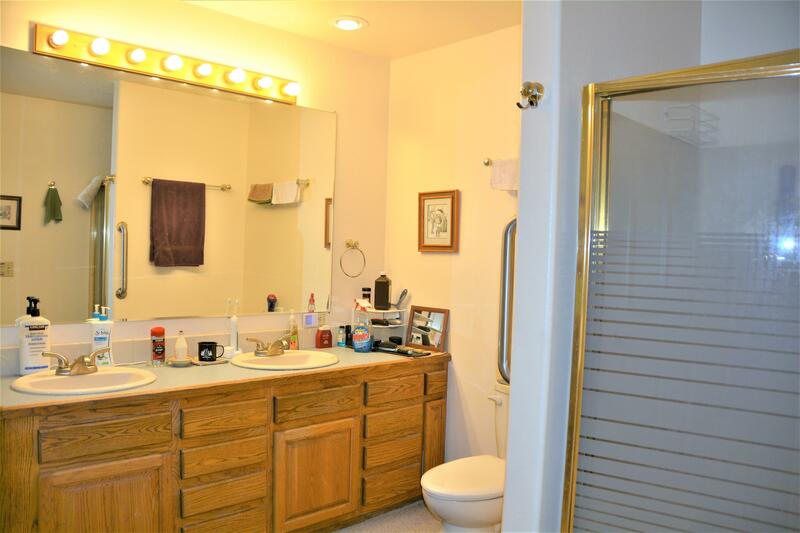 2 separate bays are separated by a guest bedroom/bath/office. 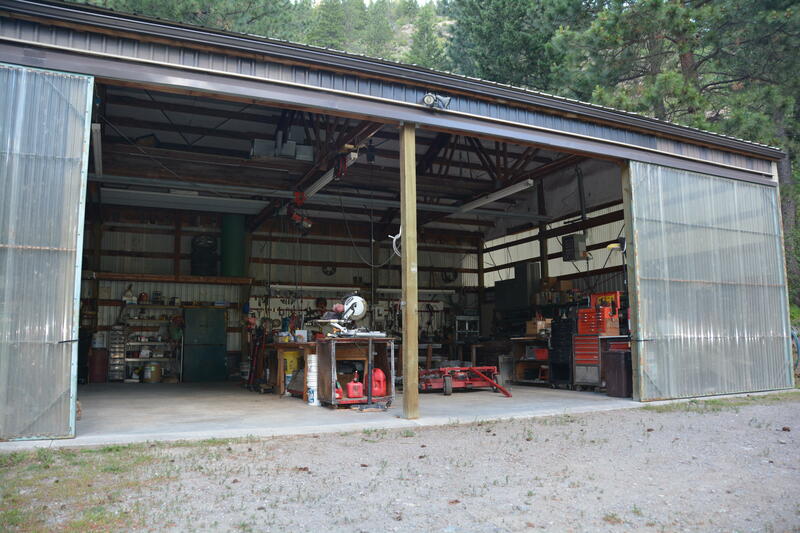 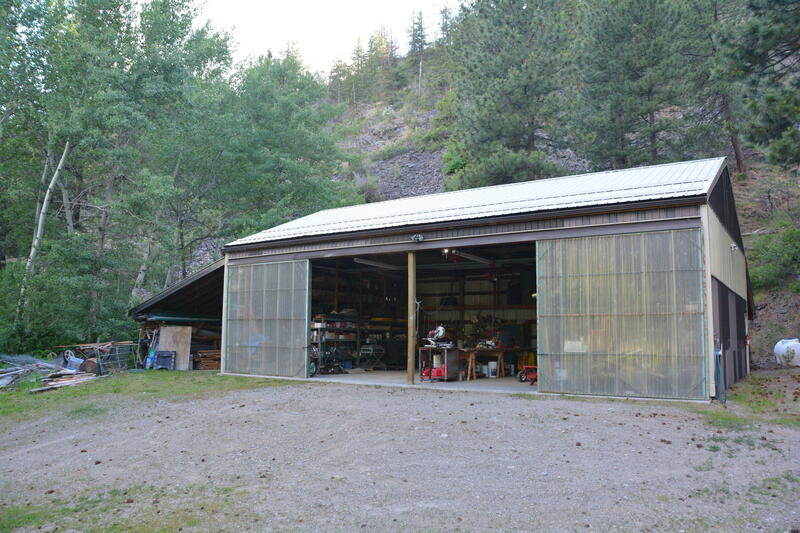 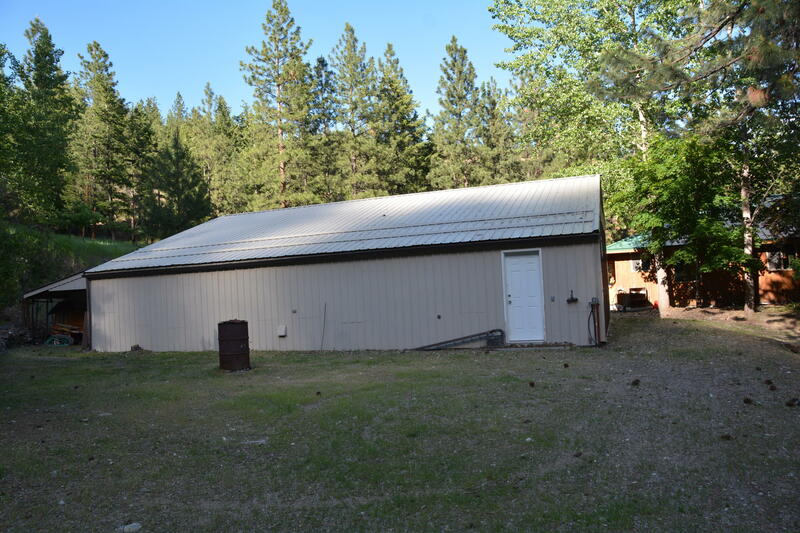 A second 32 x 38 shop with 16' covered areas on each end is heated, has electricity and water. 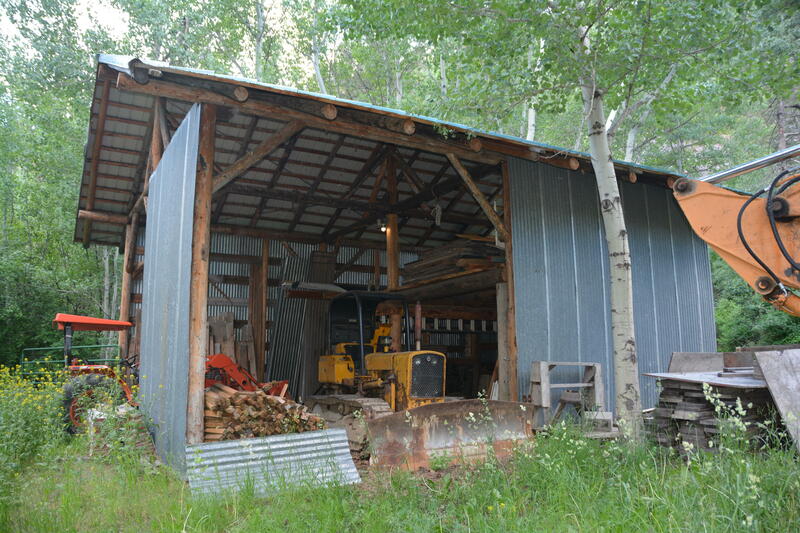 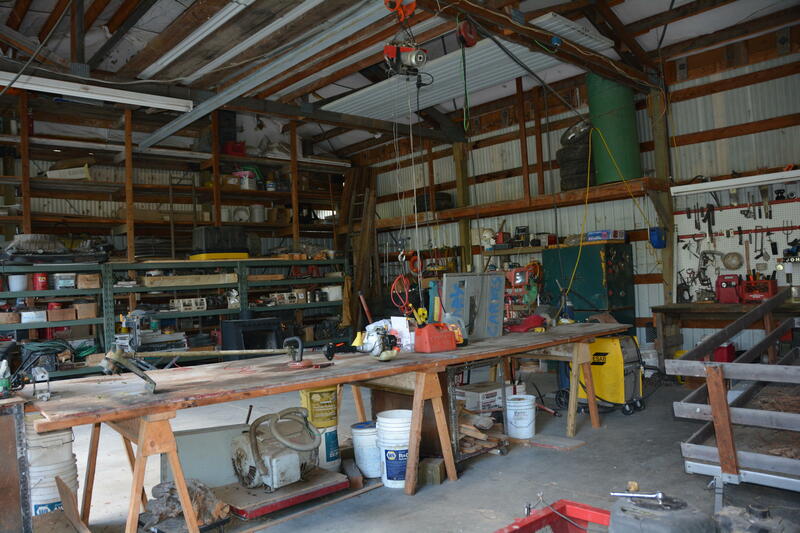 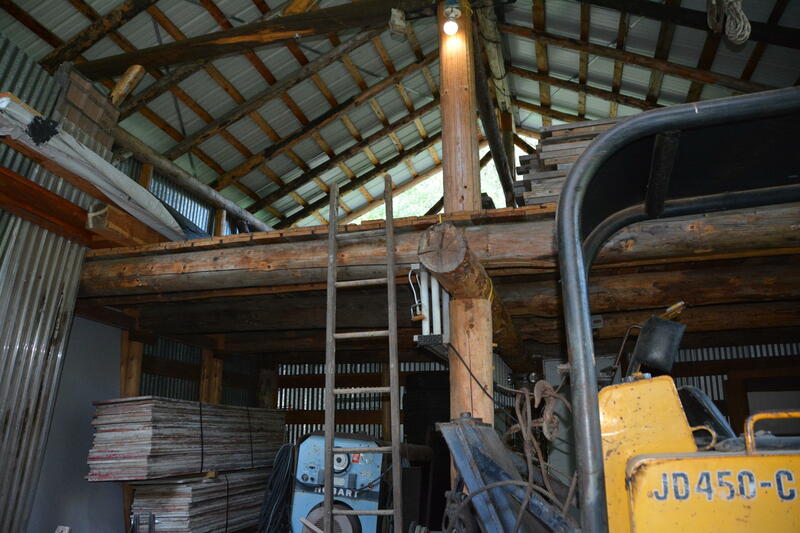 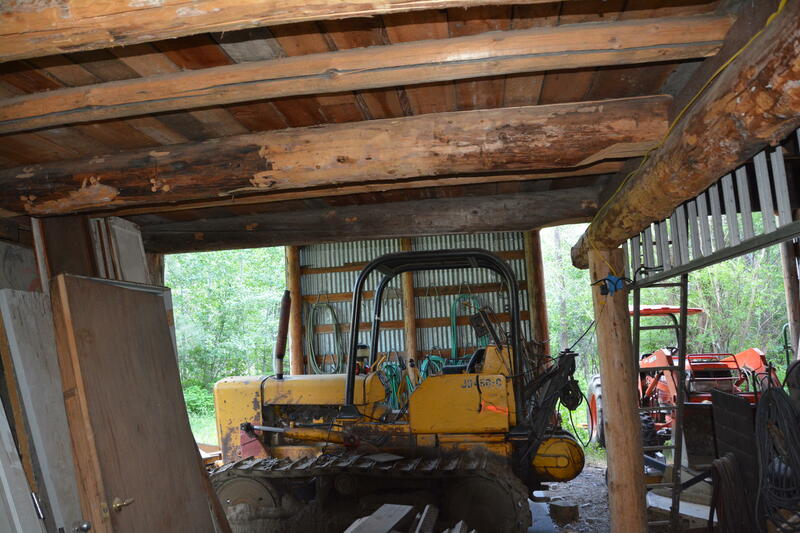 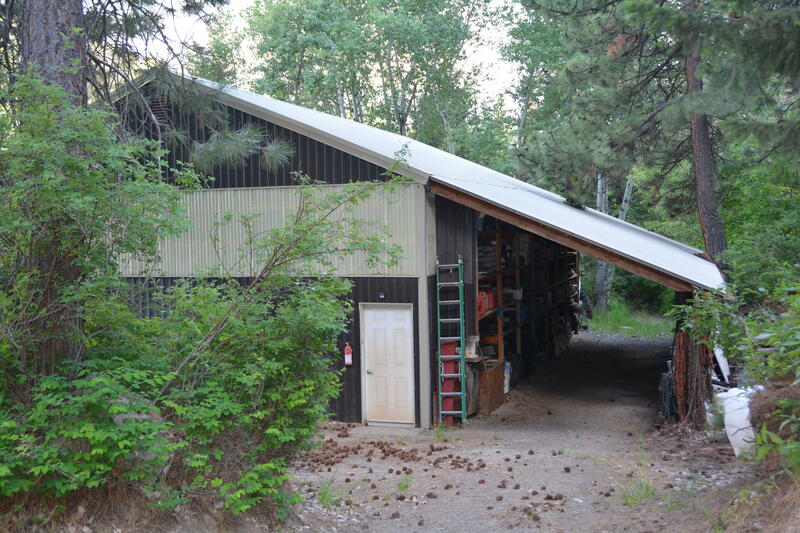 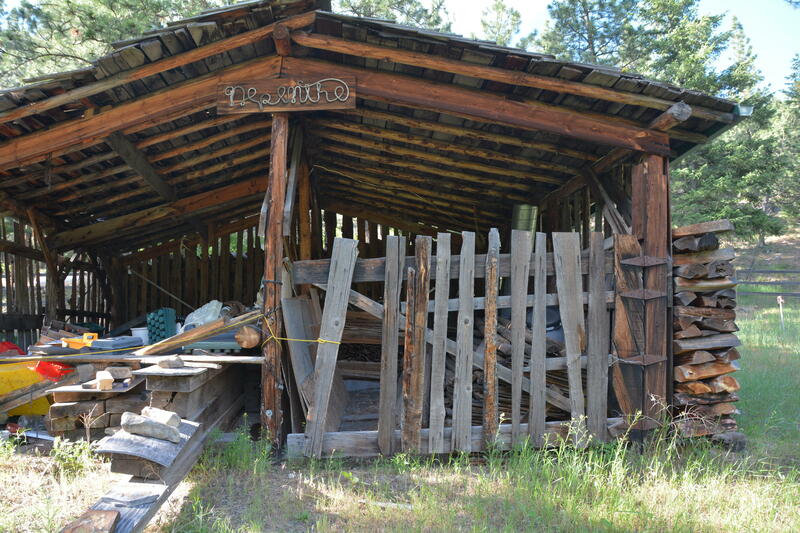 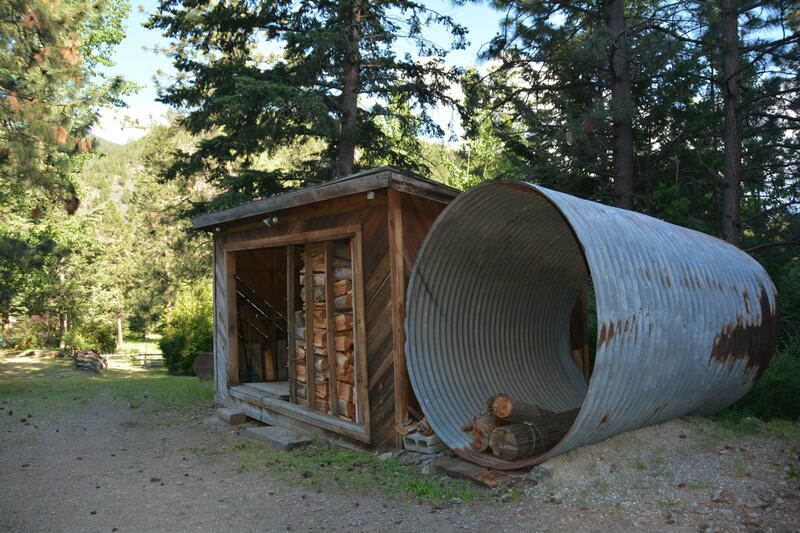 A third barn/shop is built with large log supports and has a partial hayloft/storage area. 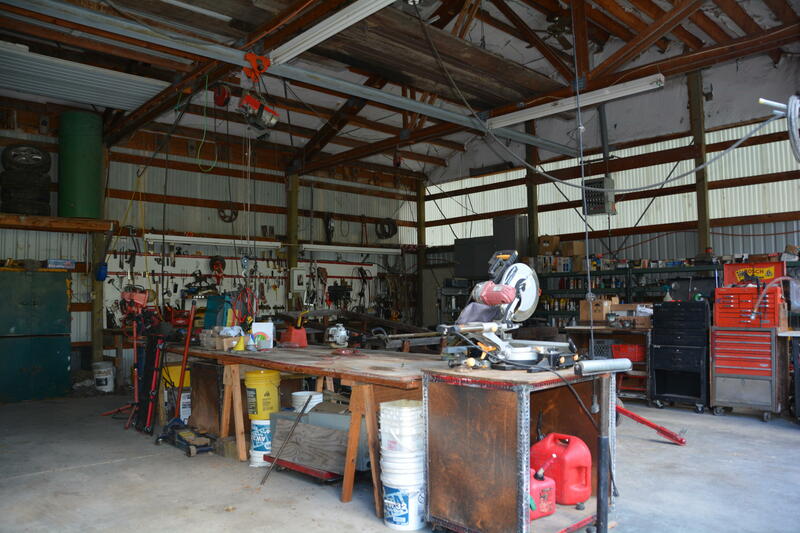 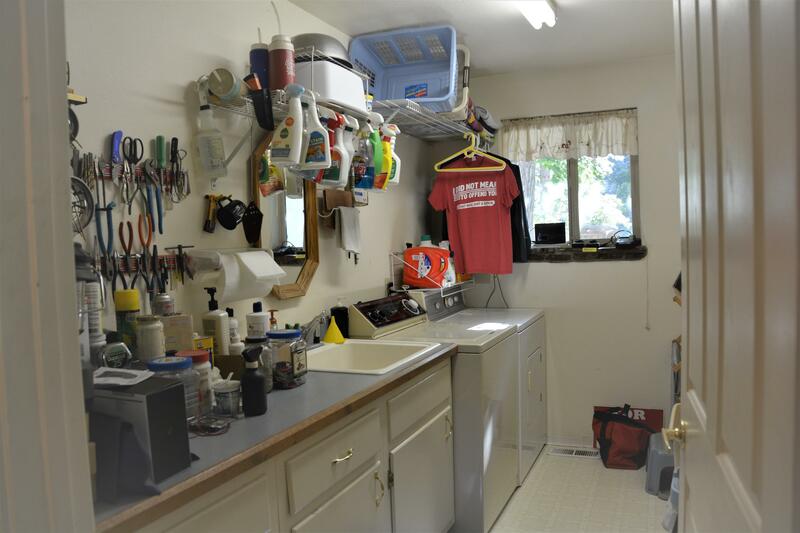 Several other outbuildings provide storage and use as tack rooms, garden sheds, wood storage, and tool/equipment storage. 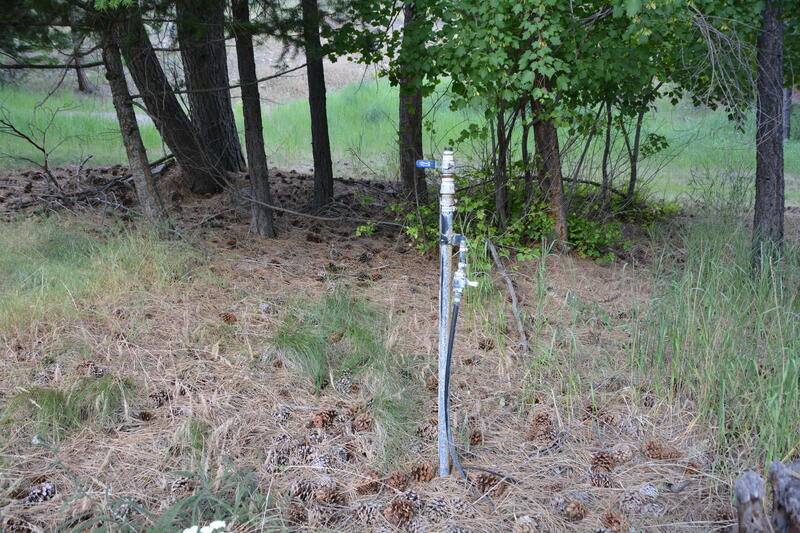 A very strong and steady 260 ft. well produces 23 gpm. 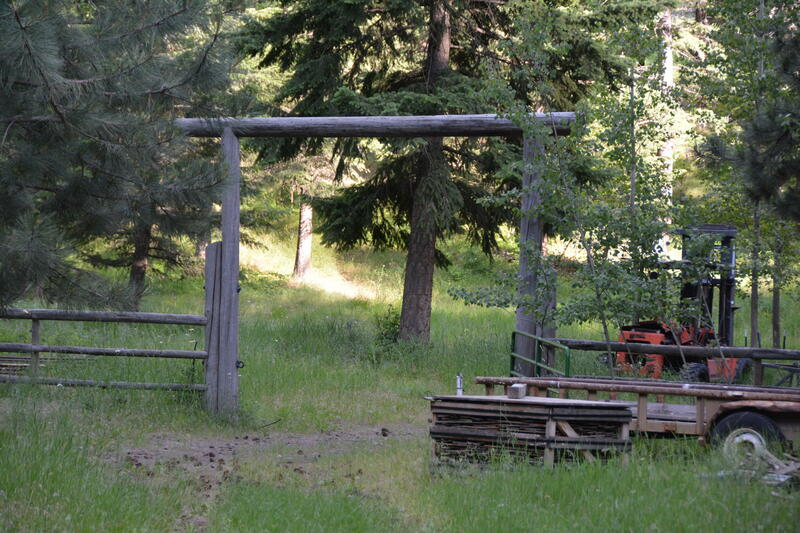 This well is shared by one neighbor. 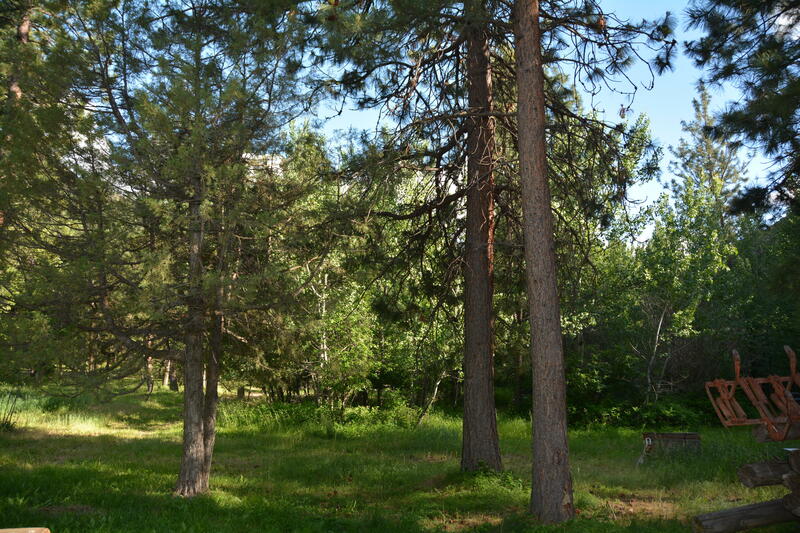 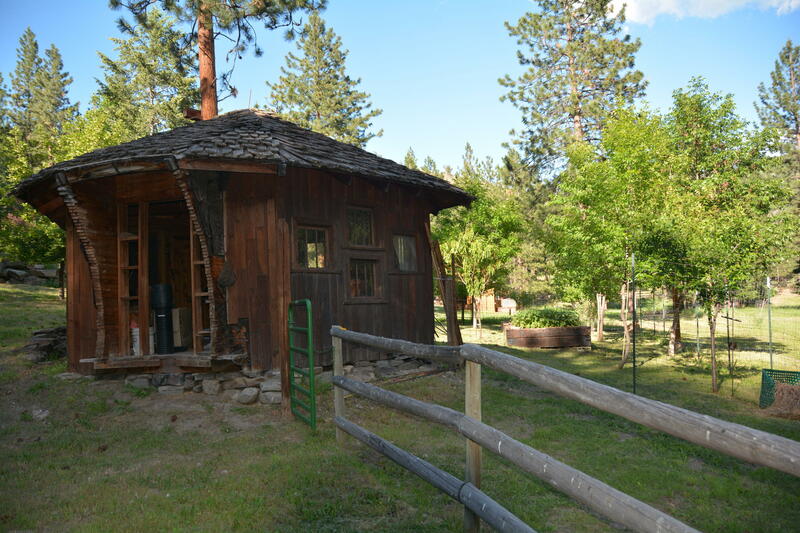 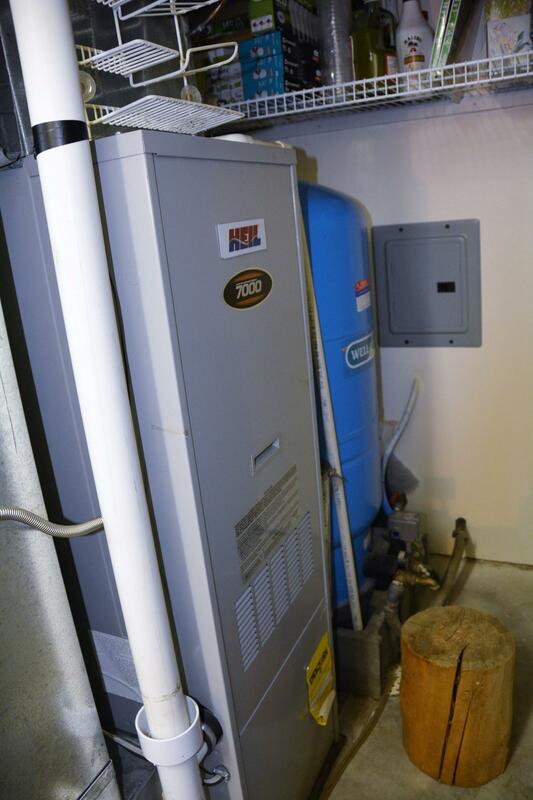 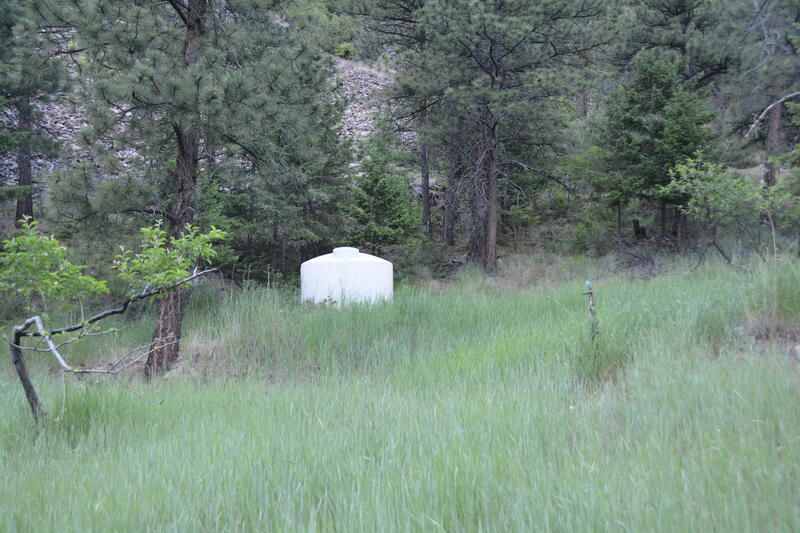 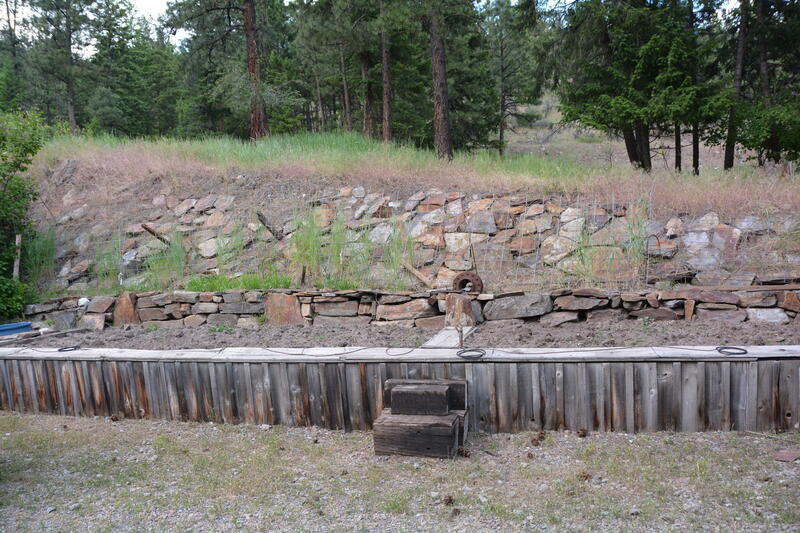 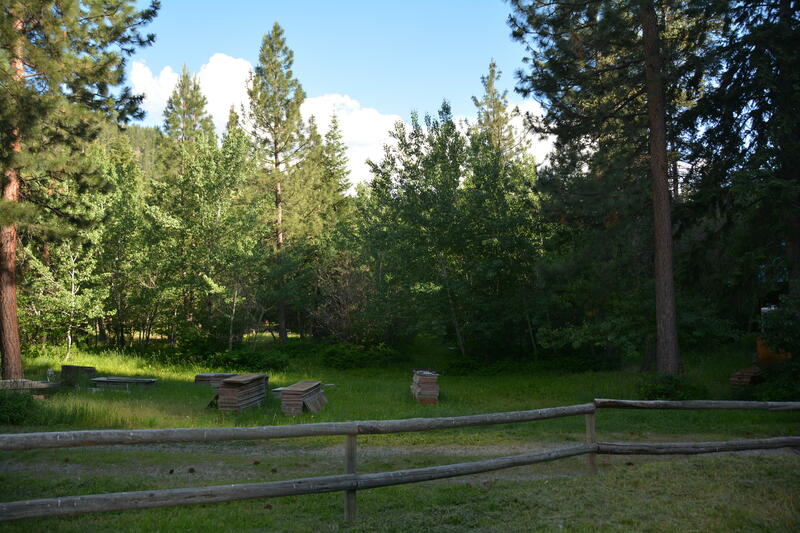 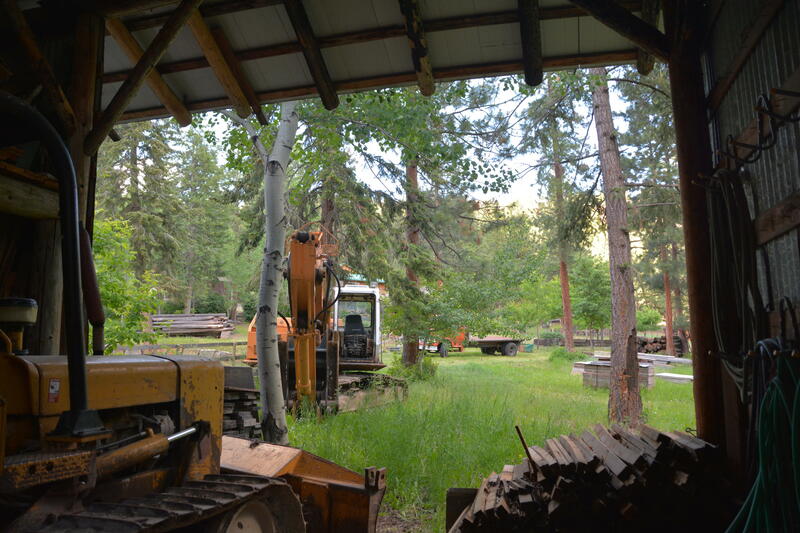 All pressure tanks and controls for the well are on this property. 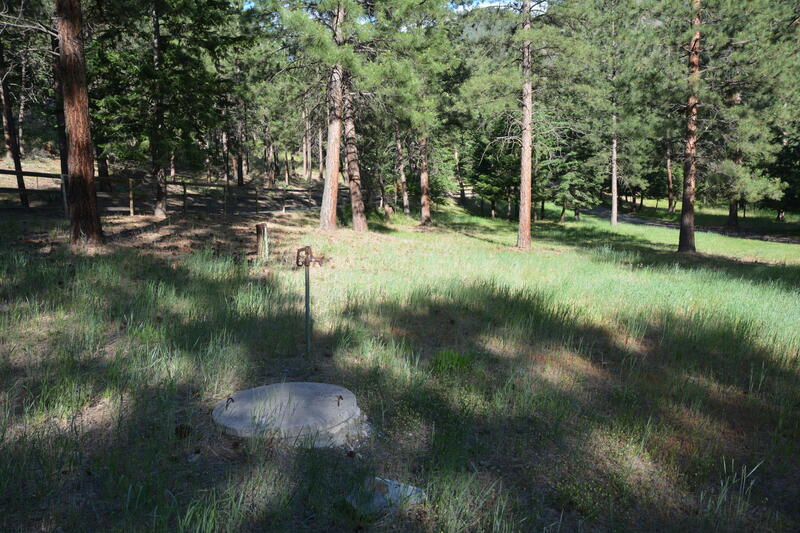 This well fills a 1500-gallon cistern at the top of the property above all buildings with several faucets around the property feeding from this; allowing for multiple-front fire suppression attack, if ever needed. 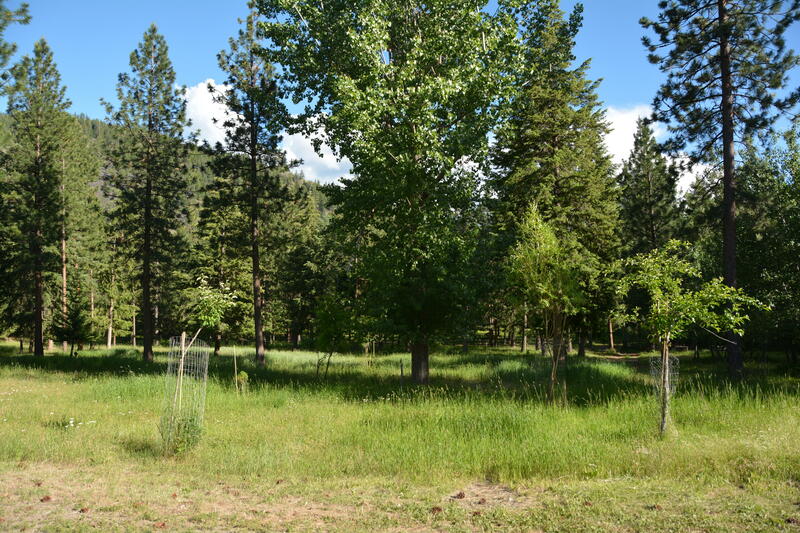 The lower meadows are fenced and cross-fenced and contain lush grass and scattered trees-a horse's dream, as well as the home (or at least visiting spot!) 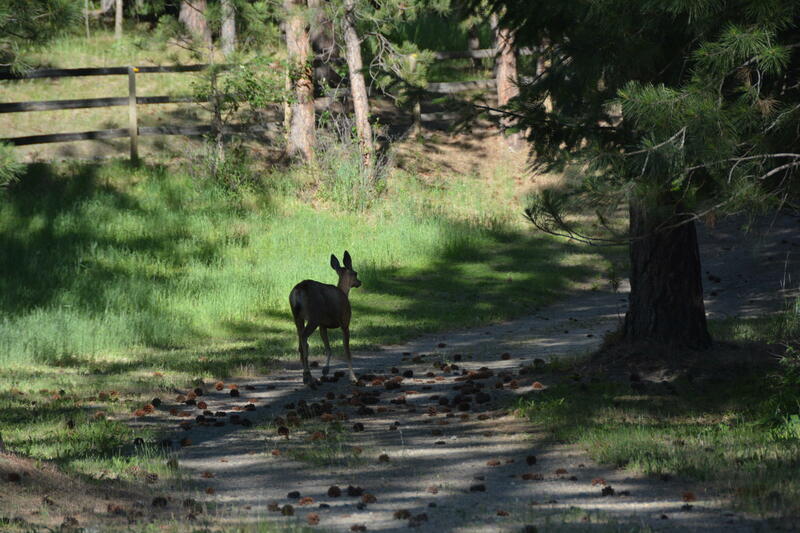 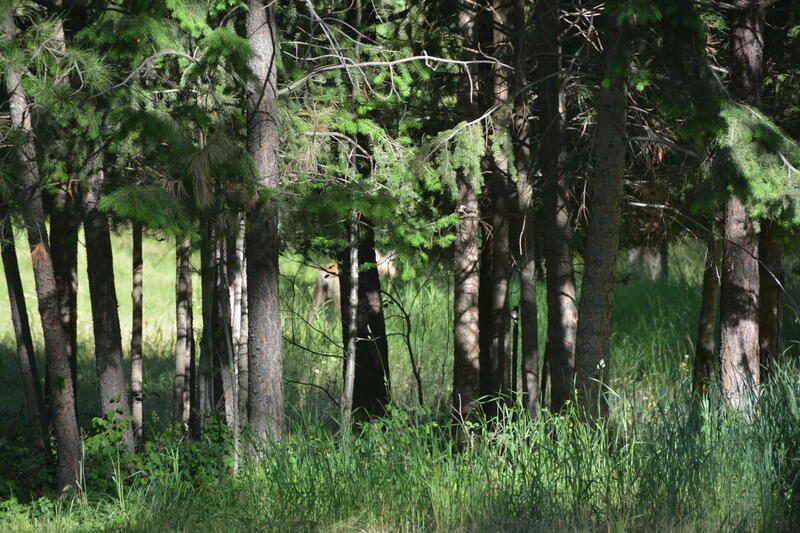 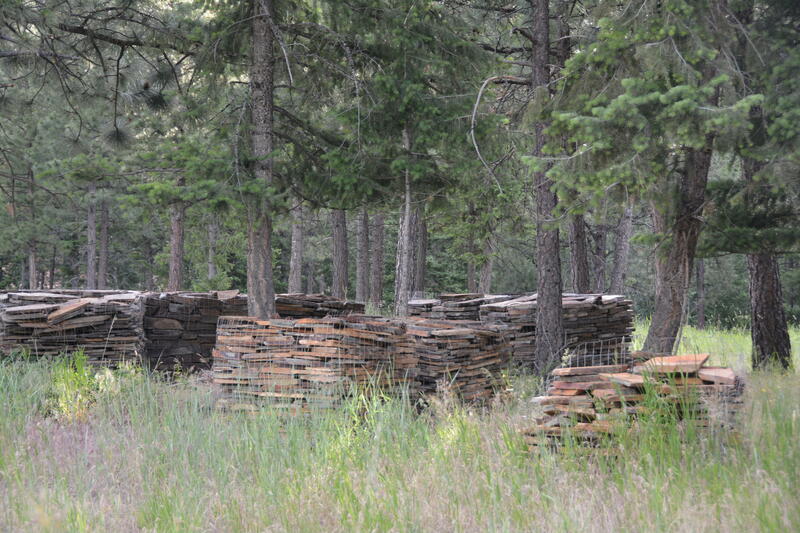 for deer, elk, bear, cougar, coyotes, and many, many species of birds. 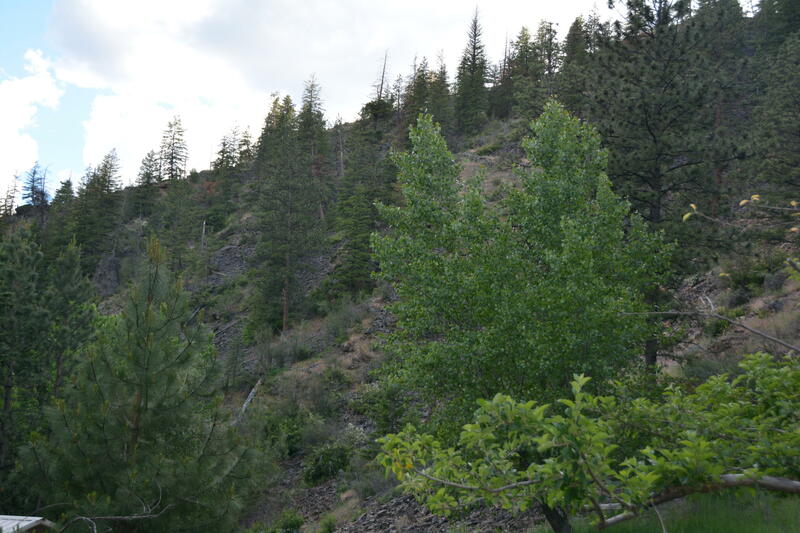 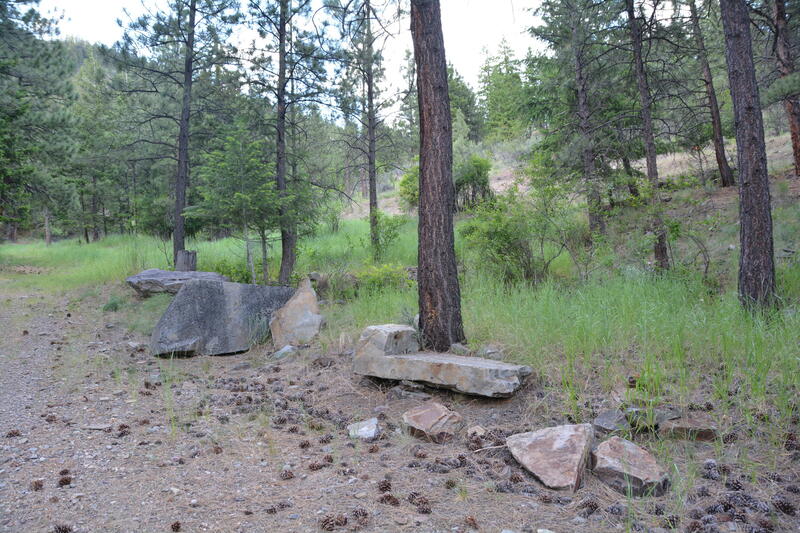 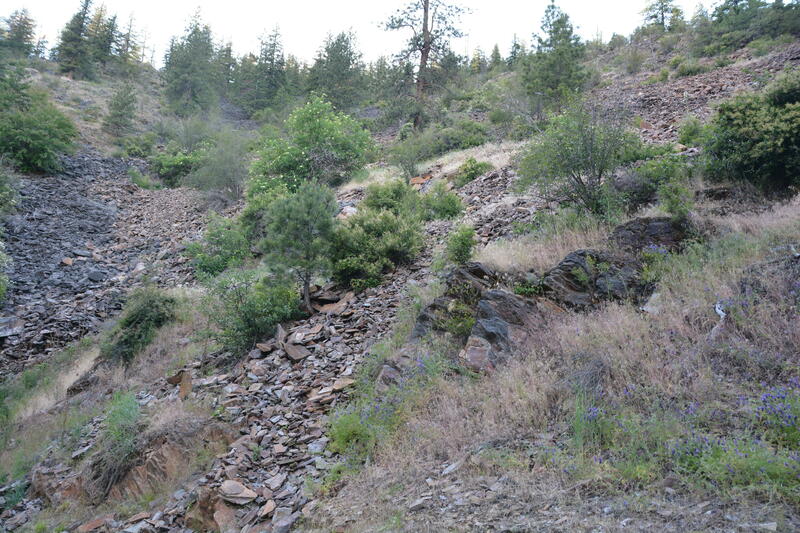 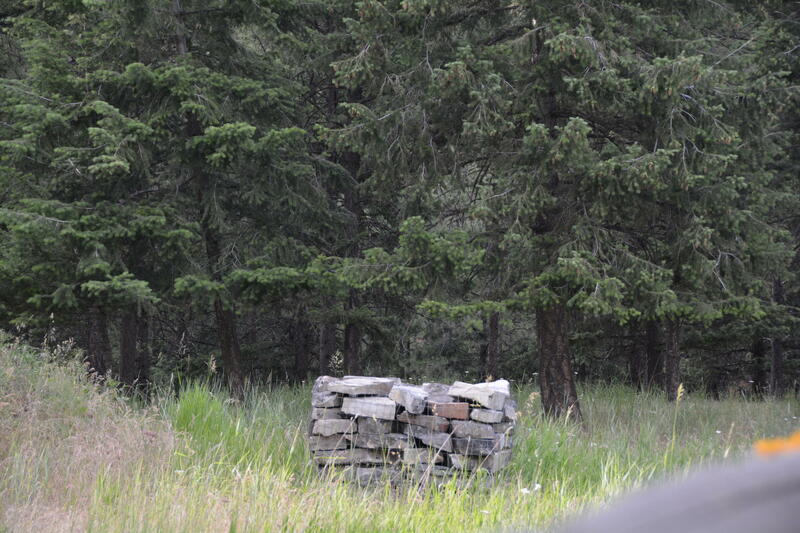 The rocky hillside provides perfect habitat for the bighorn sheep that wander through, as well as proven quality building stone, which has provided an income stream to the current owner. 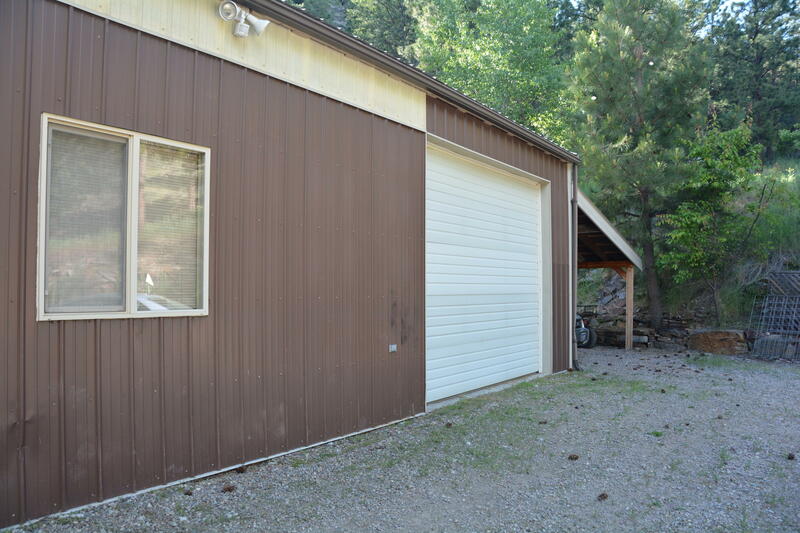 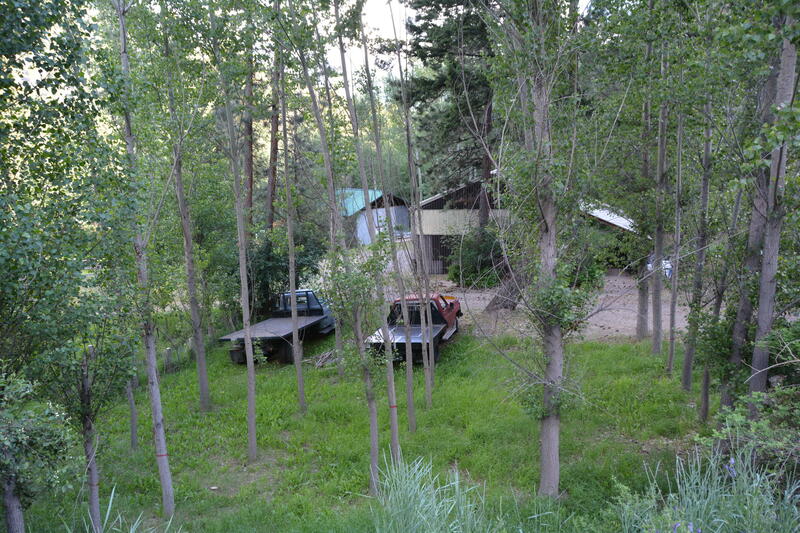 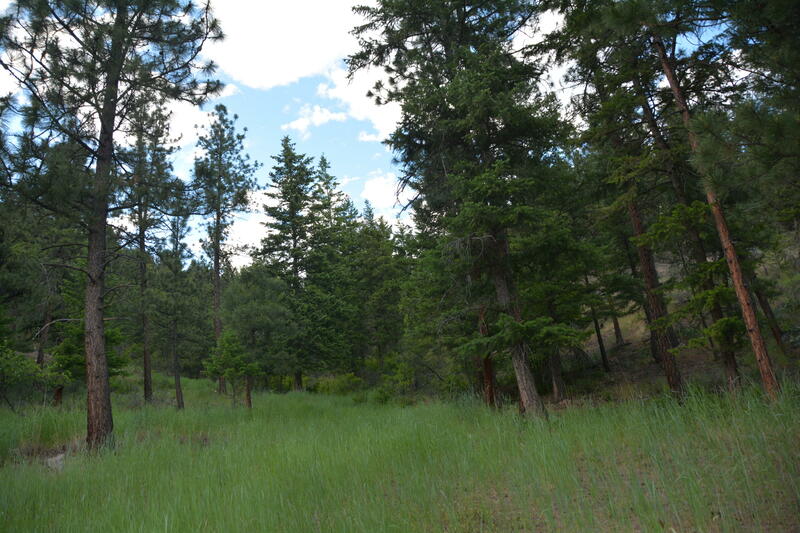 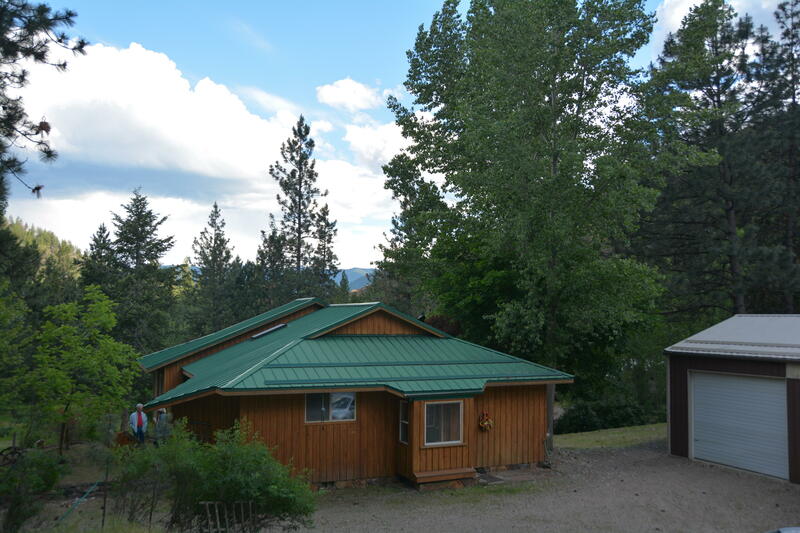 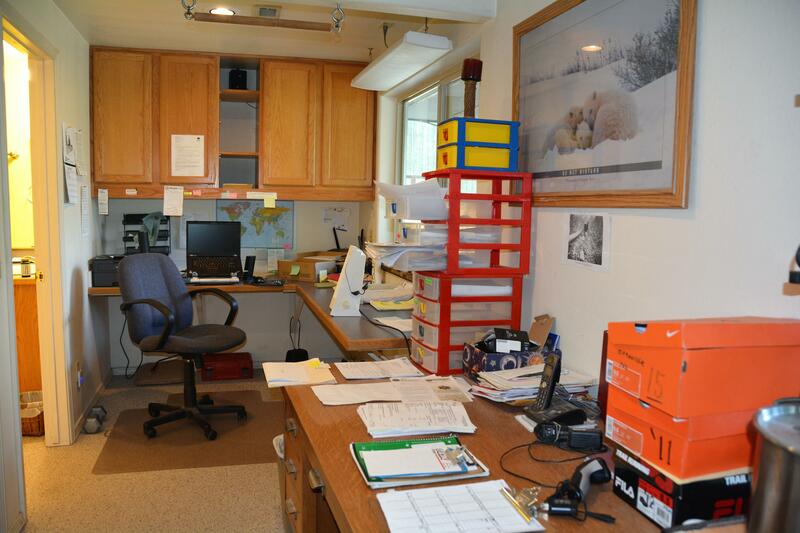 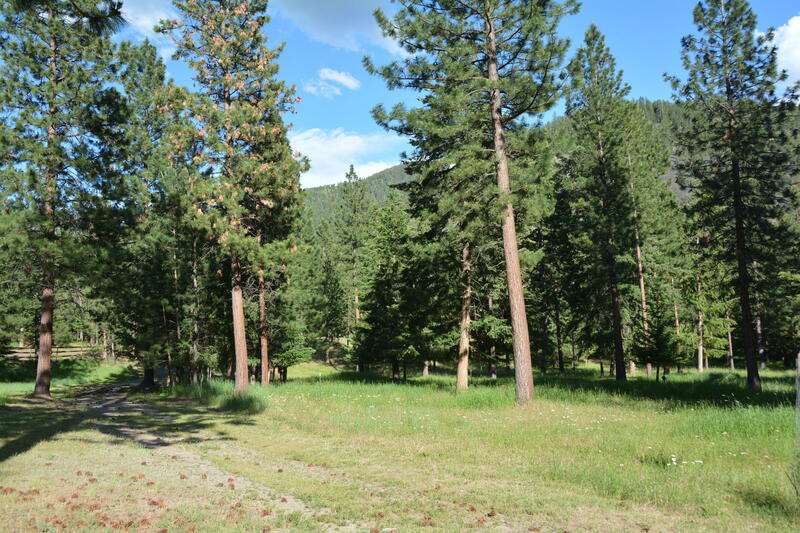 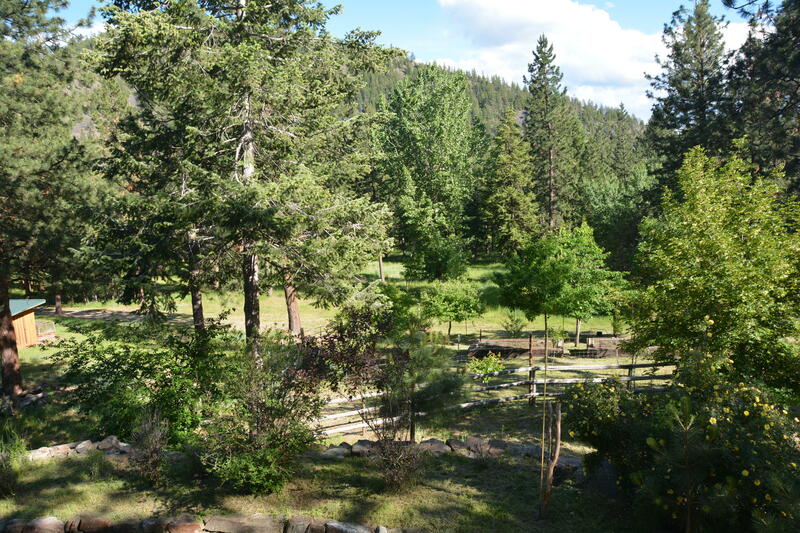 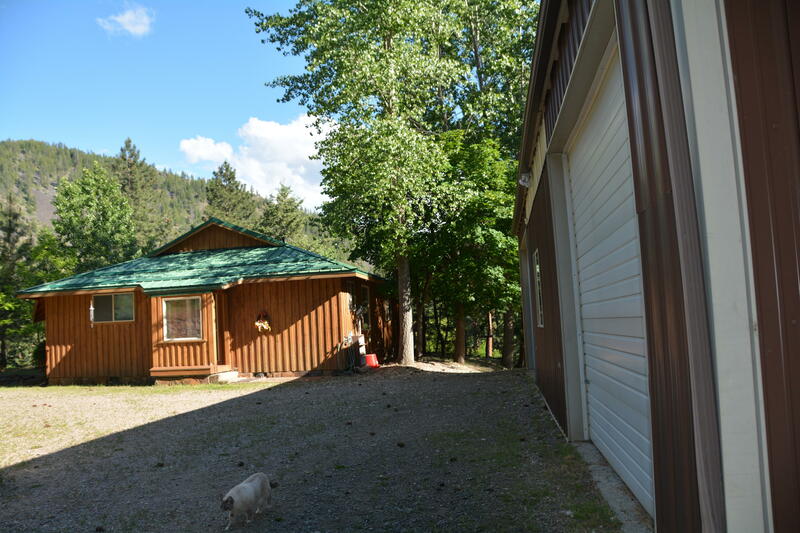 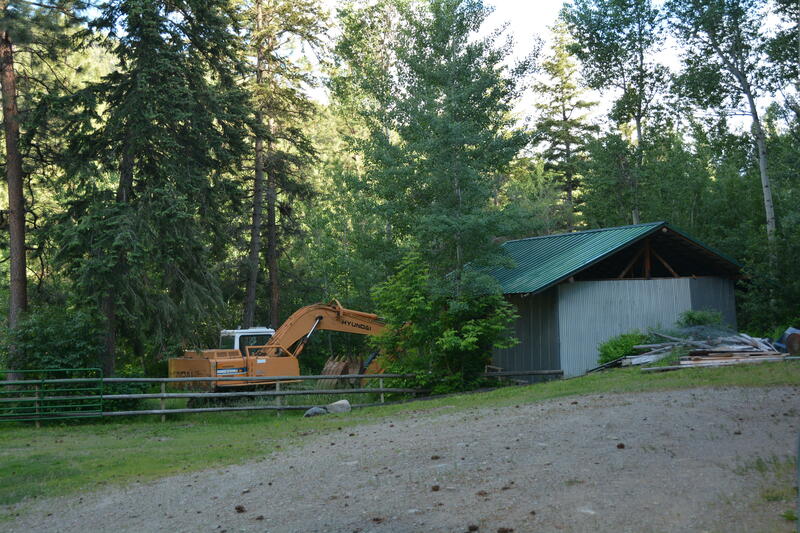 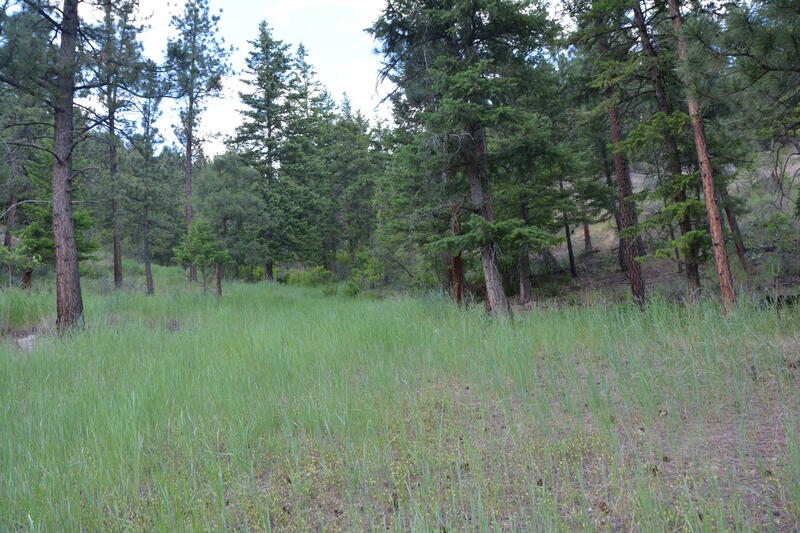 There are good, year-around accessible roads to this property, which is only 7 +/- miles from the small but vibrant town of Plains, right on Highway 200, and has all services and a large hospital. 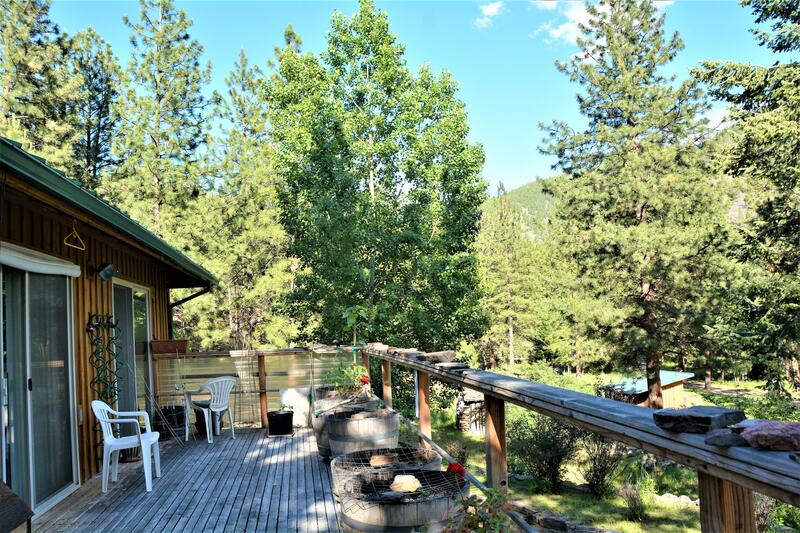 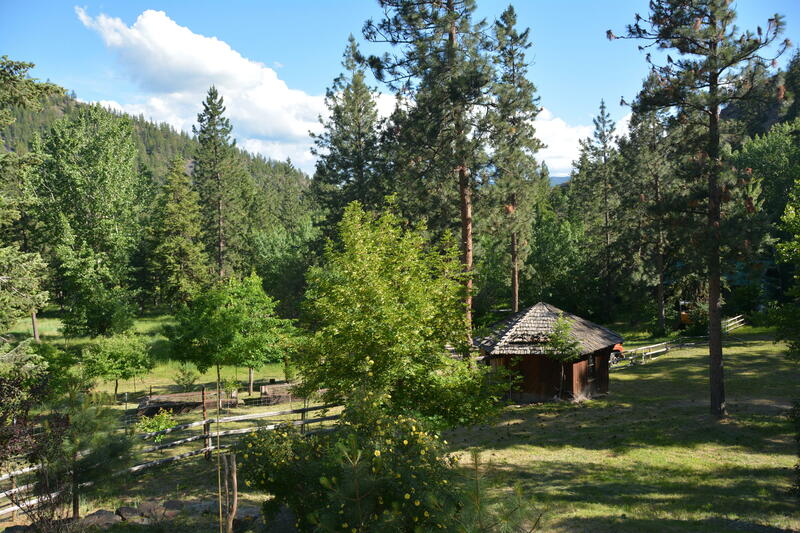 An hour drive will bring you to Missoula, with it's 2 state-of-the-art hospitals, large stores, large cultural presence, University of Montana, and International Airport. 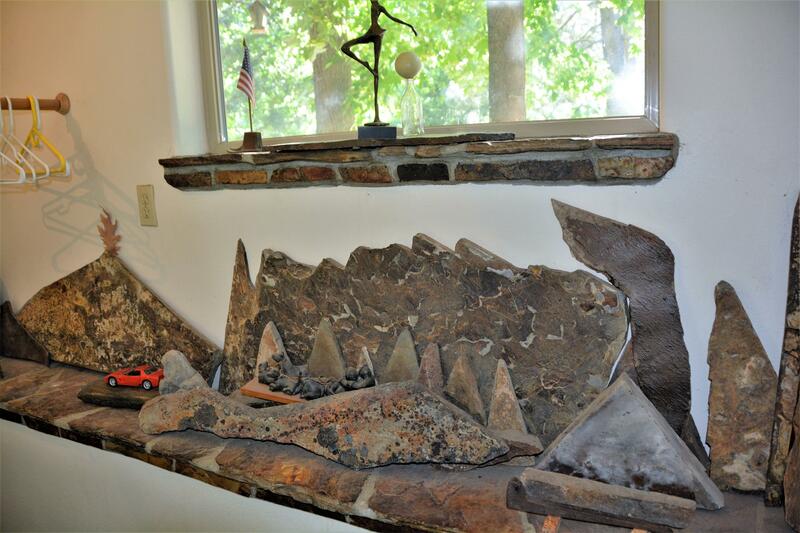 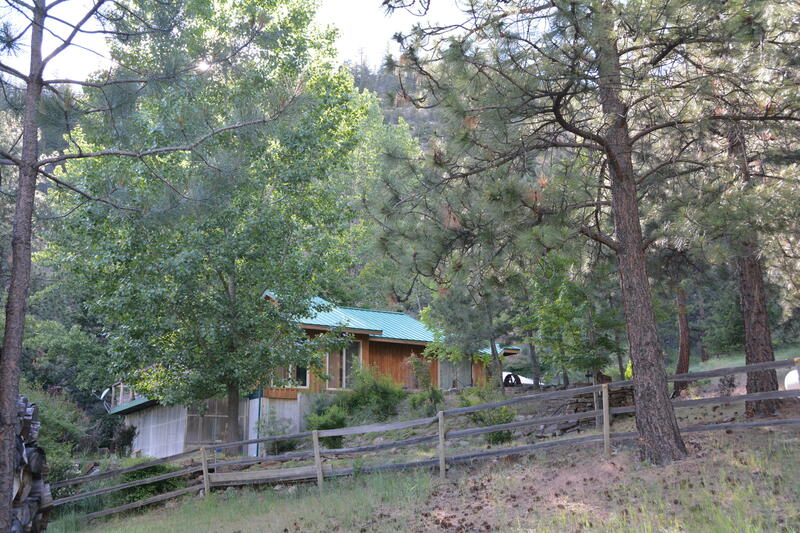 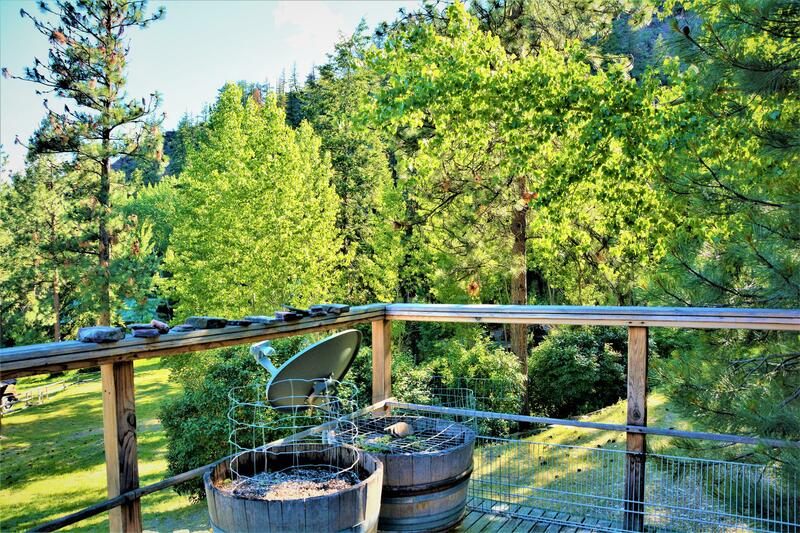 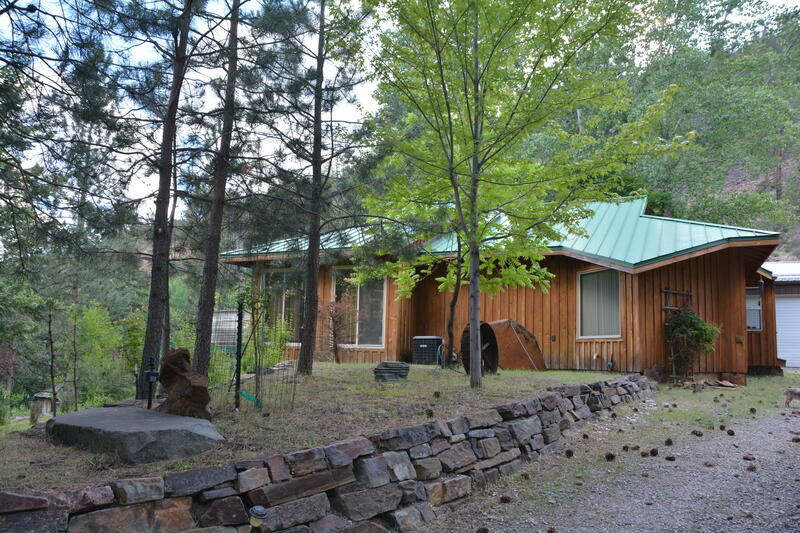 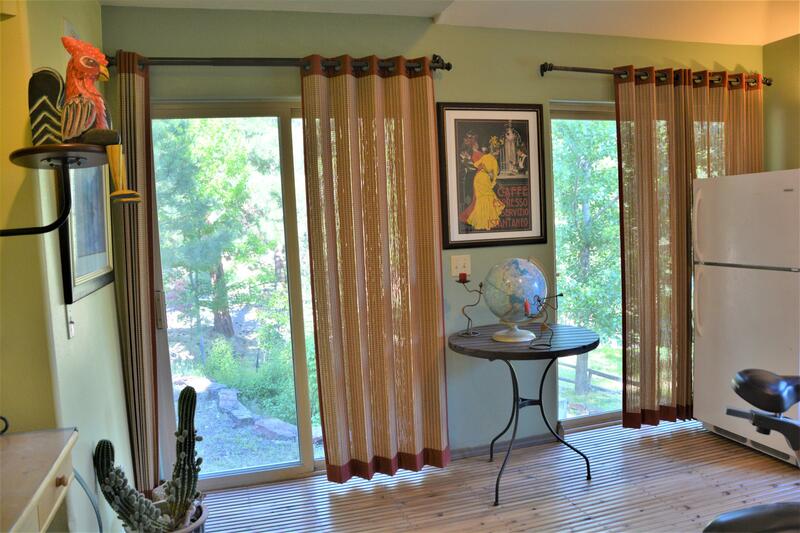 This property is perfectly described by the small town it resides in: Paradise!! 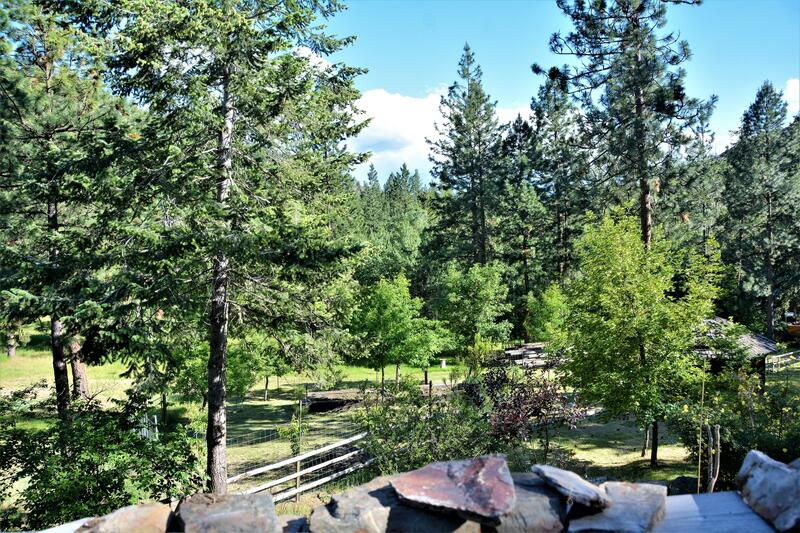 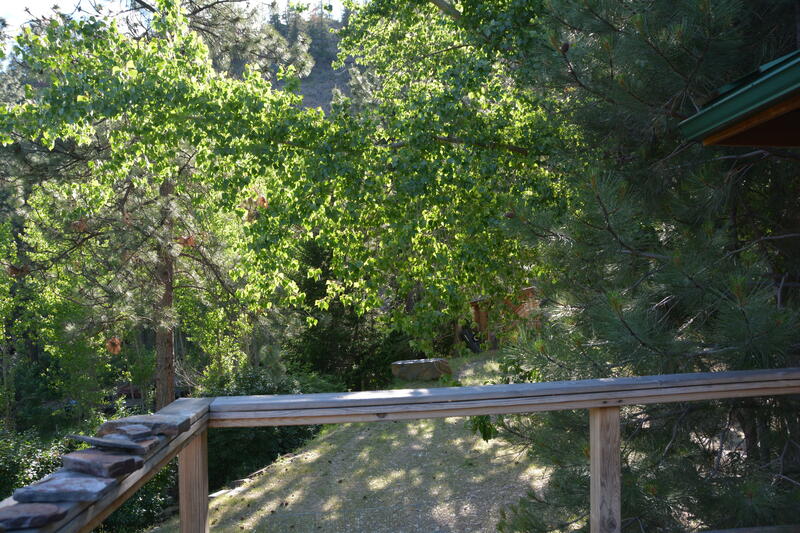 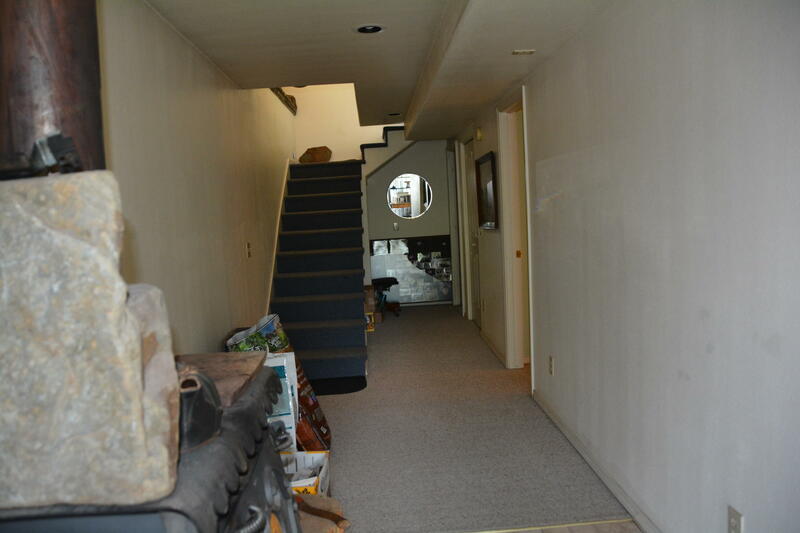 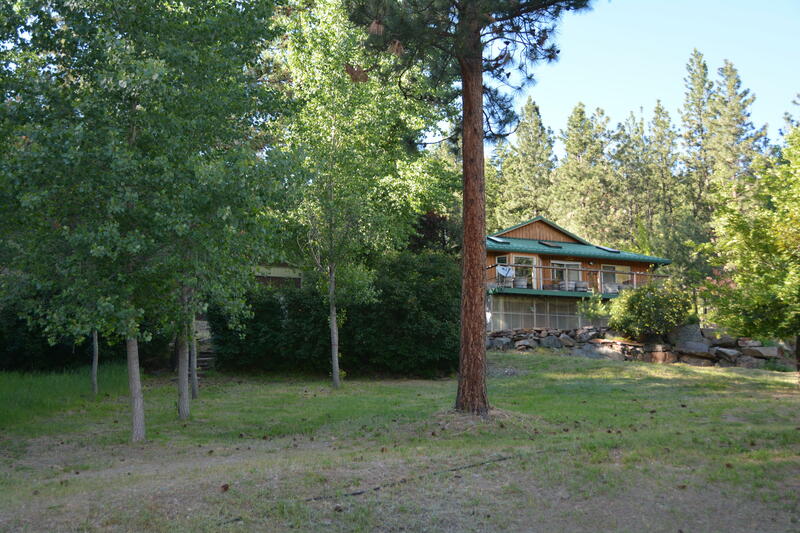 This motivated Seller is willing to offer this multi-faceted property for only $400,000!! 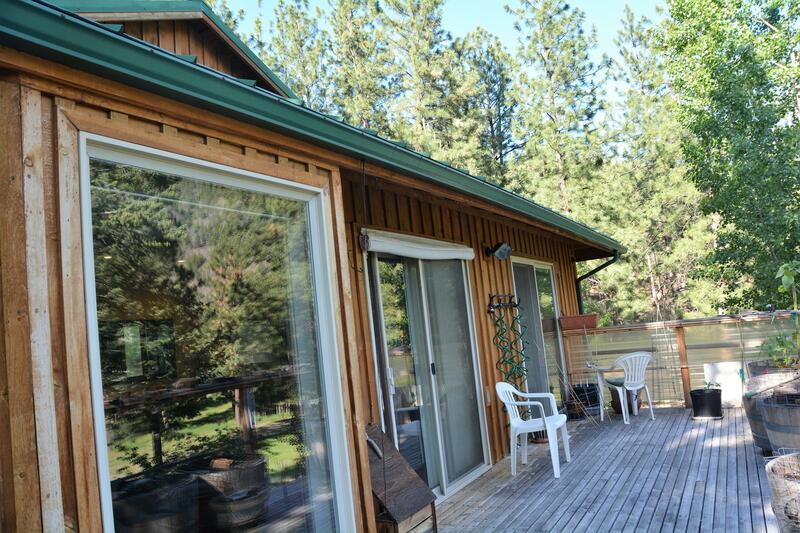 To find out more or arrange a tour of this private oasis, call Theresa Mondale, 406-544-5970, or your real estate professional. 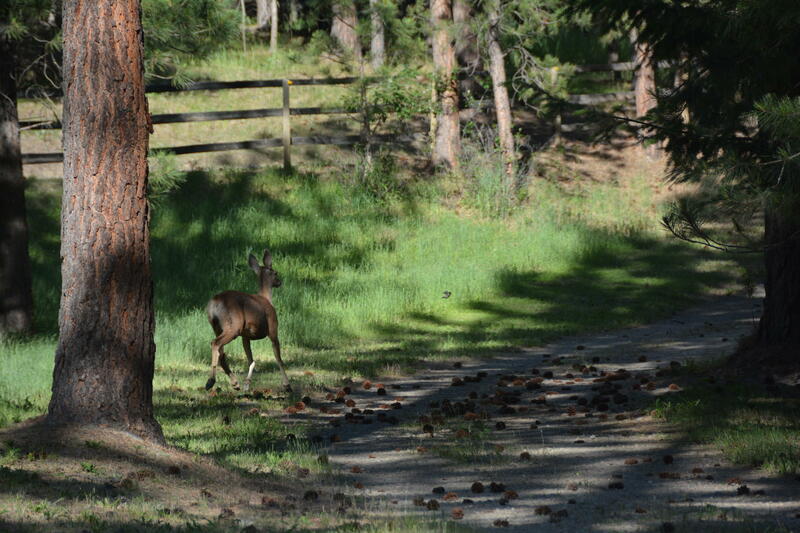 Welcome to Western Montana!